The impact of an academic institution is best measured by the successes of its alumni. Our alumni have done amazing things, speaking directly to the quality of education they received here. The following is a list of alumni that was kept over the course of 49 years by Dr. Jerry Manion who passed away on July 18, 2014. To Dr. Manion’s credit, this list is one of the most extensive and detailed summaries of alumni ever kept by an academic department. The UCA Department of Chemistry deeply values its connections with our alumni and plans to continue Dr. Manion’s legacy of keeping in touch. As such, if you have an update, notice an error, or would like to offer an addition, please contact Dr. Patrick Desrochers at patrickd@uca.edu. awards including the Priestly medal from the American Chemical Society, the highest award given by the association. The Chemical Heritage Foundation has prepared a video dealing with Mary’s career that can be found here. Bob attended ASTC from 1947-1951. He was a student of Cordrey’s and pointed out that Cordrey would invite students over to his house at 1725 Bruce Street for hamburgers and french fries. After completing his Ph.D. at the University of Missouri (Analytical, research emphasis in atomic spectroscopy), Bob worked for two years at Oak Ridge National Laboratory. He then joined the faculty at McNeese State University in Lake Charles, LA and remained at McNeese throughout his career first as faculty member, then department chair, dean, and finally Vice-President and Provost. Bob was Chair of the Department of Chemistry at McNeese when Joe Smith left ASTC as Professor and Head of Physical Science in 1964 in order to join the chemistry faculty at McNeese State University. Bob reflected on his own time as a faculty member and said that at least once per semester, when asked a question by a student, he would say that he didn’t know the answer (even at times when he actually did know the answer) but would find out and get back to the student. He said that he was trying to make the point to students that faculty members don’t know everything and that they are learning every day, just like the students are. Bob is currently retired and resides in Little Rock where he is close to his brother and his good friends, Mary Good and Anne Butler. After graduation from ASTC, John went to graduate school at the University of Missouri and then worked for City Service Oil Company (now Citgo). Anne Hickman (maiden name Anne Halter, first married name was Anne Butler, married name is now Anne Hickman): Anne was a chemistry student at ASTC from 1951-1953 and then went to the University of Missouri and earned a BS in Chemistry (ACS-certified) at the age of 19, in 1954. She then went to Buckeye Cotton Oil in Memphis, using monochloroacetic acid to combine with cellulose to form carboxymethylcellulose, which is used as a bulking agent in ice cream. She married Bob Butler in 1955 and Bob then went to work at Lion Oil Company in El Dorado. In 1961, they moved to St. Louis, MO and she raised two kids during this time. Bob then decided he no longer wanted to be a chemist and they moved to Florida where Bob opened an auto/boat repair shop and she taught AP chemistry from 1981-1999. She earned a masters in physical/inorganic chemistry in 1986 at the University of Southern Mississippi during the summers. The title of her thesis was “Electrolytic Oxidation/Reduction Chemistry of Chromium.” While teaching in Florida, she won the Chemistry Teacher of the Year Award, awarded by the state of Florida, in 1997. While she was teaching in Florida, she completed a summer workshop in 1986 at UC Berkeley where she met Glenn Seaborg. She recalls Seaborg had retired as president of Berkeley, but he would still come into his office while he was in his 80s. Seaborg told her “never to apologize for being a high school chemistry teacher because you are the source of our university students!” Bob died in 2003. She then taught chemistry at Sacred Heart School in Morrilton and Scotland High School in Scotland, AR. Anne recently married James Hickman, a 1954 graduate of ASTC. In Anne’s 1951 Conway High School annual, James (Jimmy) Hickman wrote “I never would have made it in chemistry without your help.” She has a son, Les Butler, who has been on the chemistry faculty at LSU since 1982, where he is an expert in NMR and XRF. He received a B.S. from UA-Fayetteville, a Ph.D. at Illinois and did a post-doc at Cal Tech. She also has a daughter who is a family practice doctor in Columbus, Ohio, and a granddaughter who has a Ph.D. in physics and works at Los Alamos. This granddaughter is a twin and her twin sister is a business attorney in DC who has served in India as an advocate for women’s rights. She also has a younger granddaughter, who is in graduate school in biology at Harvard. Anne Butler said that Richard Scalon went to chemistry graduate school at the University of Arkansas and was there from 1953-56, but was not sure whether he graduated since she lost touch with him. Anne thinks that Richard moved to the Houston area. alumnus. Robinette’s family were close friends with Harvel Wright (1956-58 ASTC faculty member) and his family. Anne Butler (oral interview) said that there were three chemistry graduates in 1953: Bob Butler, Richard Scalon, and Allen Robinette and all three of them went to chemistry graduate school at the University of Arkansas. All of them began in 1949 and had Cordrey in class. Bob Halter reported that Cordrey was a “laid-back, friendly person” and that Bob “thought the world of him as a teacher and a person.” Allen earned a masters degree in chemistry from the University of Arkansas in 1956 and served on the ASTC faculty from 1956-1964. He left his faculty position at ASTC in 1964 to return to Fayetteville and completed his Ph.D. there. 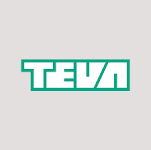 Allen was then employed by Teva Pharmaceutical in northwest Arkansas. Allen taught physical chemistry and during the 1964-65 academic year there was no one on the staff to teach this course so students enrolled in the course offered at Hendrix. Art Hoyt (personal e-mail) recalls having Allen Robinette for general chemistry and remembers that Allen had one finger missing as a result of an explosion during his work in industry. Denver Prince (personal interview) noted that Allen’s daughter taught geology for the physics department in the Lewis Science Center. Dennis grew up on a farm near Kensett, Arkansas and stated “working on a farm without modern herbicides and harvesting equipment produces a strong incentive to go to college.” He worked his way through Harding and ASTC as a projectionist in movie theaters in Conway and Kensett. After graduation from ASTC in 1958, Dennis was accepted to medical school but decided to take a position with Gulf Oil in Port Arthur, Texas, where he developed lubricating greases. After 3.5 years there, he decided to further his education and attended graduate school in chemistry at the University of Arkansas at Fayetteville. He then accepted an industrial position with Shell Oil with a salary that was the highest in the history of any Ph.D. graduate of the University of Arkansas Department of Chemistry. He worked for Shell for 16 months where he enriched p-xylene in feedstock for use in making polyesters. Dennis then decided to pursue an academic career (referring to it as a “calling”), so he accepted a position as a faculty member at Central Missouri State University in 1967. He then served as Chair of the Department of Chemistry and Physics at Central Missouri for 17 years, retiring in 1998. He and his wife, Emily, are currently retired in Hot Springs Village where they enjoy playing golf. For the first two years, after graduation, he taught high school chemistry, in Texas and Arkansas. Since 1966, he has worked for the same company, as an Analytical Chemist. Like UCA, in these 52 years, the company has changed names several times, but it is still located in Louisville, KY and now is known as Clariant. He has worked in many areas of analytical chemistry. Including classic “wet” chemistry, physical measurements (surface area and pore volume), gas chromatography, X-ray fluorescence spectrometry. For the last 32 years, He has worked with X-ray diffraction. His titles have been Chemist, Analytical Chemist, Senior Analytical Chemist, Group Leader, and now Senior Research Scientist. Jim was married 54 years to Sharon Asbury Howard (d. Oct 2017). Sharon attended ASTC, one year. They had 3 children. Two sons, 49 and 46, there was also one daughter, who is deceased, and 4 grandsons. John David taught in the public schools in northeast Arkansas for many years and is currently retired. Karen received an MS in Chemistry from UALR (GIT) in 1969 and then moved to Texas and went to work for Dow in analytical services. After 7 years, Karen moved to Environmental Services for Dow and ultimately became the Environmental Manager for Dow’s Texas Operations. Karen moved to Urethane Manufacturing for 3 years managing isocyanate and Polyol manufacturing and then to Epoxy Manufacturing in 1990 and was responsible for all of Dow’s $250 million dollar Epoxy business. In 1996, Karen became the Global Training Manager responsible for uniting the Dow and Union Carbide folks under one standard system. Karen retired in June, 2001 and has become a golfer full time. In 2004, she won the Executive Women’s Golf Association Houston Championship, went on and won the state of Texas tournament in San Antonio, and placed second in Nashville at the Nationals. Karen spends lots of time with the granddaughters, traveling (with golf clubs) and playing lots of golf. Karen has been on the Governor’s Commission on Education, the Governor’s Commission on Environmental Policy and other state boards. In December, 2002, she gave the Commencement address at the Univ. of Texas in Austin. Karen is currently Chair of the University of Texas in Austin, College of Natural Science, Advisory Board. Bill did graduate work at the Univ. of Arkansas in Little Rock for 1.5 years. He went to work for Dow Badische in 1969 doing Pilot Plant R&D Nylon chemistry and transferred to Dow Chemical Hydrocarbon Process research in 1971 where he worked with hydrocarbon catalysts, and light hydrocarbon processes. In 1981, Bill changed to Urethanes Research and worked with proplyene and butylene oxide chemistry, catalysts for polymerization of oxides. Bill moved to the safety area for R&D in 1985 and became North American R&D Safety Director in 1988. In 1990, he became Global Reactive Chemical Manager for Dow and promoted programs for safe handling of chemicals and investigated chemical reactivity incidents. Since retiring from Dow in Sept 1994 at the age of 50, traveling with wife, golfing, and grand kids keep him busy. We have 2 children and have been married 38 years now. Their son Andrew lives in Taipei, Taiwan and owns 3 schools teaching English to Chinese children, mainly elementary age kids. He is completely fluent in Chinese. Their daughter lives near them in Houston, is married, and has two daughters, 4 and 1.5 years old. His wife is a CPA. Bill reports that they try to see the grand kids as often as possible. Bill received a doctorate in health physics from Purdue University. He served in a variety of positions at Argonne National Laboratory in Chicago before transferring to the Hanover Labs in Washington where he currently works. Jim taught chemistry in the public schools in Pulaski County for many years. He is currently on the faculty at Pulaski Technical College. Gary graduated in the summer of 1969 with a major in biology and a minor in chemistry. He was active in the ACS Student Affiliate. After graduation his first job was teaching 7th and 8th grade math in Wrangell, Alaska where they commuted by boat to work. After one year there he and his wife (Hanna Boles who also graduated from UCA in 1969) moved back to England, Ark. where he taught chemistry, biology, physics and coached at England Academy until 1973. He retired from teaching and went to work at the Bank of England as a teller. He became president of the bank in 1989. Gary and Hanna have three children and seven grandchildren. After graduation Marvin taught in the public schools for a few years and then took over the family dairy farming business. He currently resides in the Heritage Nursing Home in Conway. Pat returned to Dardanelle after graduation and went to work in the lab for a chicken feed company. That company was ultimately bought out by Tyson. She then transferred to a supervisor position in the Tyson processing plant in Russellville. Gary received his Ph.D. in organic chemistry from the University of Texas at Austin. He worked for Exxon and Nalco in the United States before accepting a position as chief oil field chemist for ARAMCO in Saudi Arabi. 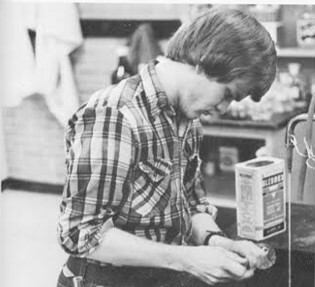 After travels over much of the world Gary returned to Conway where he taught chemistry at Conway High School and also served as an adjunct faculty member in chemistry at UCA. He is currently retired. Richard went to work for the Ecology and Pollution Department of the State of Arkansas. Although the name of this branch of state government has changed several times over the years, Richard has remained employed there. George (Gay) received a Ph.D. at Oklahoma State University. He was employed with EPA in Las Vegas for a number of years. He has recently moved to Alabama where he works in nuclear monitoring and cleanup for EPA. George died in his sleep in December of 2010. After graduation from UCA Patsy received a Ph.D. in Nuclear Chemistry from the University of Arkansas in 1973. She then completed a reactor engineering program through the Bettis Atomic Power Laboratory in 1977. She received an MBA from Florida Institute of Technology in 1979 and completed the Tuck Executive Program at Dartmouth in 1981. Patsy has held a number of technical and managerial positions in government and industry primarily in the area of energy beginning with Nuclear Power. In the fall of 2010 she was employed by Wind Energy Transmission. This is a startup electric utility doing project development on electric power transmission facilities to support bringing the wind energy resources in West Texas to load centers. She started the company and has run it for the past 15 months, reporting to the Board of Directors. She is responsible for getting projects through the regulatory process, permitted, engineered, real estate, construction and ultimate operation. She spent three years working for St. Petersburg College in the 1990’s building a new college campus focused on distance learning, running the campus for the first year and then going on to do their institutional effectiveness work. She left to pursue an opportunity to do consulting in nuclear for the Department of Defense. She has two sons. William is at the University of Florida working on his PhD in Mathematics. Robert is at the University of South Florida working on a Masters in Media Studies and does consulting in technical writing and editing. John worked for the Ecology and Pollution Department. He retired a few years ago. Joe lives in Vilonia and is currently retired from the Arkansas Crime Lab. Don lives in Vilonia and works at the Arkansas Crime Lab. Scotty received an MD from UAMS. He has practiced medicine and has also held a variety of faculty positions in medical schools including UAMS. C.C. received an M.D. degree from UAMS and when last heard from was practicing in Florida. Gary obtained a position with the Arkansas State Crime Lab where he has been head of the drug section for a number of years. with Arkansas Power and Light in Little Rock. 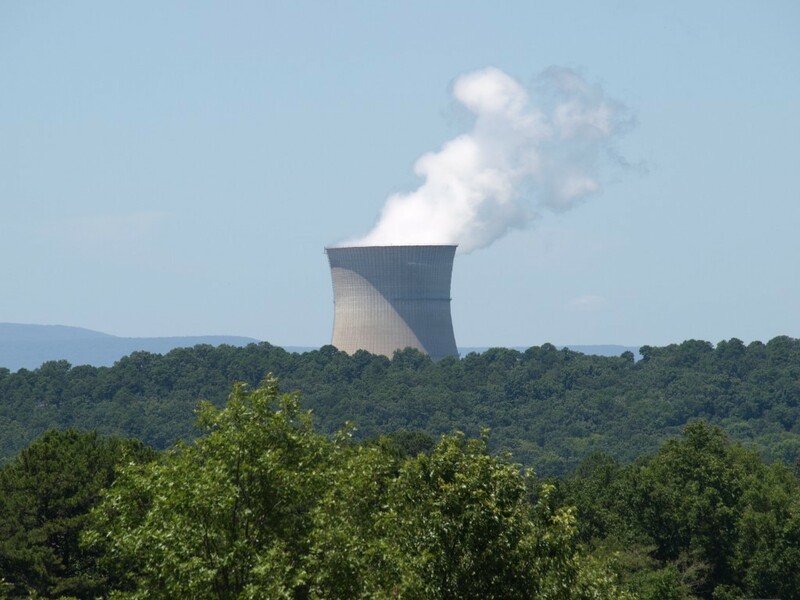 Dr. Harris then developed and conducted initial and continuing training for the chemistry positions at the Arkansas Nuclear One (ANO) facility in Russellville for 18 years, followed by seven years of emergency planning at ANO, and then retiring from ANO in 2007. Dr. Harris then served as a visiting assistant professor at Arkansas Tech University until 2014. He and his wife, Mira, whom he met during his sophomore year at UCA (then the State College of Arkansas), live in Russellville. While a student at SCA, he played music at gatherings at the Manions’ house and he continues to play guitar and banjo today. He is enjoying retirement, sailing on Lake Ouachita, and spending time with grandchildren. Jerry worked as a musician after graduation, then joined the Navy and became a pilot. After his tour of duty Jerry became a pilot for a commercial airline. Richard received an M.D. from UAMS and then practiced medicine in Harrison. David obtained a position with the Arkansas Department of Ecology and Pollution and has been employed there for a number of years. 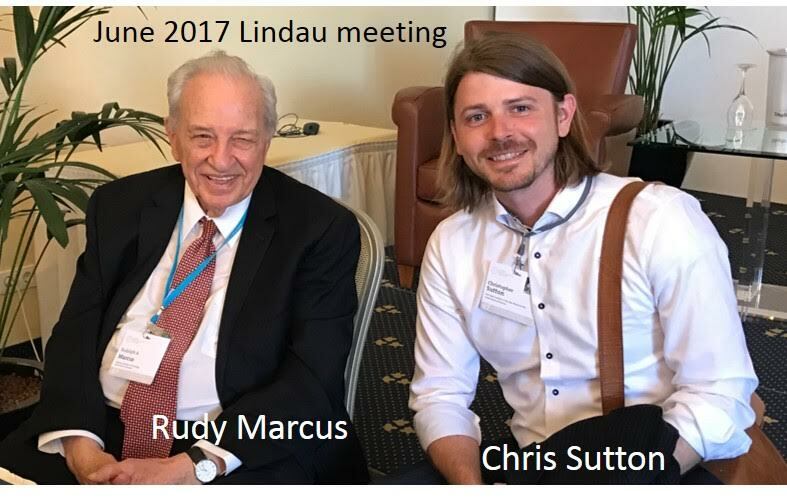 Lischka who was a visiting faculty member, Prof. R. M. Pitzer, and then Ph.D. student F. B. Brown at The Ohio State University. He joined the Theoretical Chemistry Group at Argonne National Laboratory in 1981 under the supervision of Dr. T. H. Dunning, Jr. Argonne is a Department of Energy laboratory, and his research group studies combustion chemistry. “We have both experimentalists and theoreticians in our group. I am a theoretician and I do mostly method development in electronic structure theory, but I sometimes do some applications and work in other areas of physical chemistry such aspotential energy surface fitting, vibrational wave function calculations, or chemical kinetics. I also publish some applied mathematics and numerical methods work from time to time about things like data compression and eigenvalue calculations.” Ron was recently promoted to Senior Scientist in the Gas Phase Dynamics Group at ANL where he develops and applies electronic structure methods to address combustion chemistry problems. Ron’s research work is recognized internationally and in 2009, Ron was chosen as a Fellow of the American Association for the Advancement of Science. Ron and his wife have a son who is currently a senior in high school. His hobbies include playing pool in local leagues and in tournaments. He sometimes plays in pool tournaments when he travels for work. He also referees some of the professional and amateur tournaments. Bob received a masters degree from ASU-Jonesboro and then received an MD from UAMS. After graduating from UCA in 1976, Bill attended graduate school for five years in Fayetteville (Ph.D, 1982). He has taught at Louisiana Tech University in Ruston, Louisiana since the fall of 1981 where he is now the C. W. Ray Johnson Professor of Chemistry in the College of Engineering and Science. Since the late eighties, his research interests have been mainly in chemical and science education. He spends summers conducting professional development institutes for middle school and high school science teachers. For exercise, he enjoys playing basketball and juggling. He has been married to Evelyn Archer whom he met in Dr. Manion’s organic class, since 1979. They have one daughter, Nicole who shares his passion for juggling. 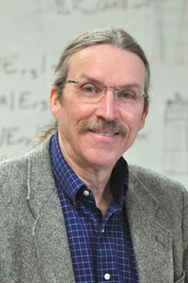 Bill won the 2010 Helen M. Free Award for Public Outreach, which recognizes outstanding achievements in the field of public outreach by a member of the ACS. This award was made at the Fall, 2010 ACS meeting in Boston. Bill Deese remained in close contact with Jerry Manion after leaving UCA. Bill and Jerry regularly shared ideas about chemistry demonstrations and even put on a show in the spring semester of 2014 on UCA’s campus. Mike obtained a position in the laboratory for Maybelline in Lonoke and he currently has overall responsibility for quality control at the plant. Elizabeth also obtained a position in the laboratory at Maybelline. Alan has been employed by Abbott Laboratories for the past 25 years working in North Carolina, Texas and New Orleans. He currently is part of international supply chain management for Hospira, the hospital products division of Abbott in Lake Forest, IL. His children are grown and he and his wife of 27 years enjoy living in the Chicago area. He remembers New Orleans fondly and visits there frequently. He hopes to retire to the Hot Springs area. Jim obtained an MD at UAMS and practiced for several years. He became seriously ill and died several years ago. Gerhard Laule teaches chemistry at Seminole State College, where he has been since January 1988. He received an M.S. from the University of Arkansas Graduate Institute of Technology in 1986 and then spent a year working on his doctorate in Physical Chemistry at the University of Oregon. As a faculty member at SSC, he has served as chair of the Math/Science/Engineering division and has continued graduate work at Oklahoma State University in Inorganic Chemistry and Chemical Education. Currently he devotes most of his time to teaching General Chemistry I and II and Introductory Chemistry as well as serving as an Adjunct Chemistry Instructor at Oklahoma Baptist University where he teaches the labs for health sciences chemistry. Hobbies include competitive bicycling racing, hiking, camping etc. Laquetta and her husband,David, live in Lubbock, TX where they are both employed by Texas Tech University. Laquetta is responsible for laboratory classes in general and organic chemistry. John received a PhD from the University of Arkansas – Fayetteville. He has been employed in the chemistry industry. After receiving an M.S. degree from the University of Alabama in 1981, Ricky went to work in Texaco’s research labs in Port Arthur, TX where he worked in industrial lubricant and grease development. He transferred to Shell’s Westhollow Technology Center in 1988. He is currently a Senior Chemist, Lubricants with Shell’s global technology organization, Shell Global Solutions, where he is a team leader supporting industrial, transport and aviation greases. He also serves informally as the building computer geek. His work with a global unit has allowed him to travel extensively. 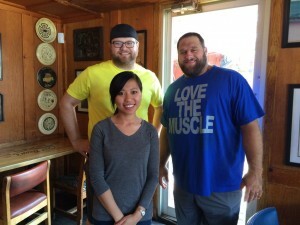 Ricky and his wife live in Katy, Texas and have three sons (two in college and one in high school). Ricky’s hobbies include building computers, refurbishing vintage hi-fi speakers, and playing an occasional game of casino black jack. Associate Director of Anesthesiology, Denver Health Medical Center. Jim’s responsibilities include educating medical students and supervising residents in anesthesiology in the operating room. He is the editor of two anesthesia textbooks, “Anesthesia Secrets” currently in third edition, and “Anesthesia Pearls.” He has been accepted into the Executive MBA program in Health Administration at the University of Colorado. of industries. In 1996 he received a MS in Operations Management from the University of Arkansas. Jim and his wife, Debby, live in the middle of 200 wooded acres outside of Batesville where he is an avid bow hunter with an emphasis in turkeys. His children, Ryan and Lana Lawrence, live in Vilonia along with his 4 grandchildren. After graduation Gerald obtained employment in the chemical industry in the St. Louis area where he has been very active in the local ACS section. Bill taught school at Heber Springs for one year before going to the State Crime Lab, where he was a Chemist for two years. In 1981, he moved to Russellville and joined the staff at Arkansas Nuclear One as a chemist. At Nuclear One he has served as Chemistry Supervisor, a Chemistry Superintendent and Industrial Safety Superintendent. He has been the Employee Concerns Coordinator since 2004. He describes this as kind of a camp counselor, complaint department and whistle blower office all rolled up into one. Bill’s wife, Shelia, is a 1980 graduate of UCA, with a degree in early childhood education. They have been married for 28 years and have two sons. Tim is a senior education major at UCA (and is going to be a great football coach). Philip is a freshman at the University of Arkansas majoring in business. Eddie went to work for Alcoa in Benton upon graduation. After serving in the military Tom returned to UCA to take a teacher training program. Bobby’s goal when he came to UCA was to return to Nashville and work in the concrete manufacturing plant there. He did so and had been there ever since. His son, Tyler,entered UCA in the fall of 2007. Jay has held chemist positions at the Arkansas Crime Lab and at the Plant Board. Rosalyn taught high school chemistry northeast part of the state for a number of years. Becky completed dental school and is currently practicing dentistry. Joe received a Ph.D. degree in inorganic chemistry from Purdue University in 1983. He then obtained a job with Conoco (now Phillips-Conoco) where he has held a number of positions and is currently the Director of Catalysts Development for the Gas-To-Liquids R&D Department. Joe was selected as the outstanding chemist in Oklahoma in 2008 and was recently promoted to research fellow at Conoco-Phillips, which provides him with wide latitude in the choice of projects on which he works. In 2010 Joe was named as an ACS fellow at the Fall National Meeting in Boston. He also was recognized as a 2010 outstanding alumnus by the Chemistry Department at Purdue University where he earned his Ph.D. degree. 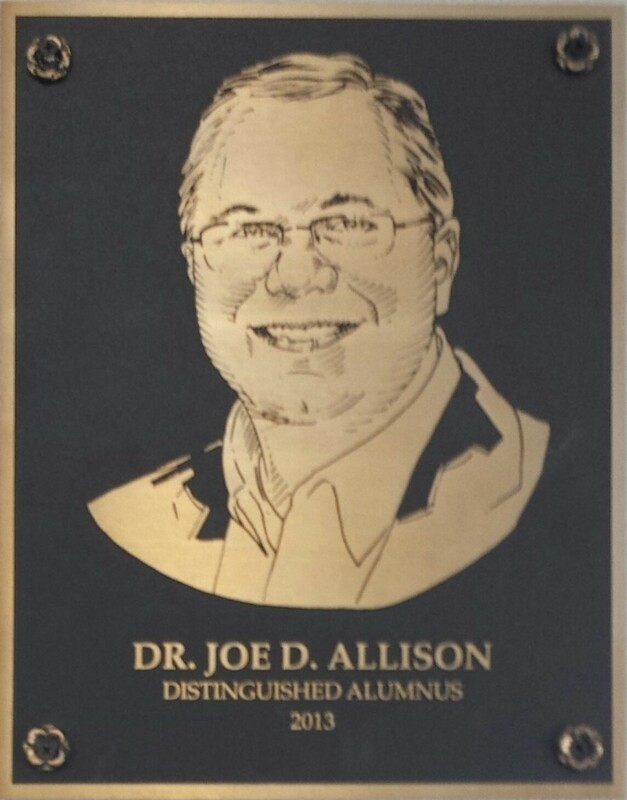 Joe also was recognized as distinguished alumnus of UCA 2012. Chet is currently employed as a pharmacist. 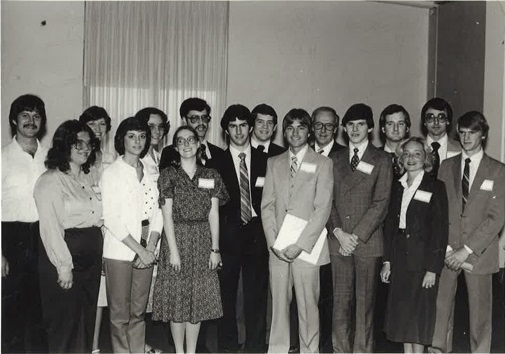 After graduating as the 1979 top overall UCA graduate in chemistry, Laura attended Purdue University on an NSF predoctoral scholarship in the Department of Medicinal Chemistry and Pharmacognosy. After receiving an M.S. degree in Medicinal Chemistry and Pharmacognosy in 1981, Laura worked at BioAnalytical Systems as a Research Chemist from 1981 to 1983. Since 1983, she and Joe have lived in Ponca City, Oklahoma in 1983 where she is a Senior Scientist in the Analytical Services Department specializing in Mass Spectrometry for Conoco (now ConocoPhillips). Joe and Laura have two children: Brent, 22, at Oklahoma State University majoring in Finance; and Tara, 19, at Hendrix College (yes, ironically she is in Conway) majoring in English/Anthropology. Charles worked in Huntsville, AL for a number of years for a company that manufactured solid rocket fuels. He is currently employed in a plant in Fort Smith and enjoys a piece of land he bought on the Mulberry river. Richard taught in the public schools for several years and has been active in the Arkansas National Guard. Most recently he serves as the manager of Ricks Armory in Little Rock. After graduating from UCA in 1980, Slaton spent a short time with Phillips Petroleum and then returned to graduate school at the University of Arkansas and completed a Ph.D. in Physical Organic Chemistry under Dr. Norbert Pienta in 1985. He then worked for Halliburton Services and finally Eastman Chemical in Batesville, AR for 16 years before leaving to work for UAMS Arkansas BioVentures biotechnology incubator and to return to school for an MBA at UALR. He also worked for Safe Foods Corporation as the VP, Logistics and Operations. 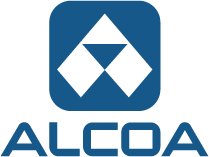 In 2006, Slaton returned to Batesville and worked for FutureFuel Chemical Co. (formerly Eastman) as the executive Director, Commercial Operations until 2014. From there he moved to Baytown, TX, to work as VP, Administration for Nippon Gohsei USA, a manufacturer of EVOH barrier polymers. In 2017 he and his wife returned to live in Conway. Slaton is currently the chief operations officer at SafeFoods in North Little Rock. As the name implies, SafeFoods is a company that manufactures and provides food-safe disinfectants used in food processing industries. He married Diann Curiel in 1984 and they have two children, Evan and Elise. Evan has attended UCA off and on since he graduated from high school. Elise has been accepted and has decided to attend Hendrix College in the fall of 2015. David went to graduate school at Texas Tech University and is currently the instrumentation specialist in the Chemistry Department there. His primary responsibility is the operation and upkeep of NMR spectrometers in the department. Randy received his masters degree from UALR. He currently works in environmental chemistry in the Dallas, TX area where he lives with his wife and three sons. Randal (Randy) Tucker, graduated in 1980 and then worked for Phillips Petroleum in Bartlesville, OK for a short while before returning to the University of Arkansas at Fayetteville in 1982 in order to pursue a PhD in Chemistry. He did his research on snake venom components and the venom of the Brown Recluse spider. He received his PhD in Chemistry with specialization in Biochemistry and then went to the LSU Eye Center in New Orleans for postdoctoral training. He returned to Arkansas where he worked for the Arkansas Department of Health and the Arkansas State Crime Lab as a mass spectrometrist in the areas of environmental chemistry and toxicology. He helped to establish the first forensic DNA laboratory while at the Arkansas State Crime Lab after receiving training at Life Codes in Stamford, Connecticut, Applied Biosystems in San Franscisco, and Promega, in Madison, Wisconsin. He now works for the US Food and Drug Administration in Jefferson, Arkansas where he uses both high and low resolution mass spectroscopic techniques for the analysis of ultra trace levels of chlorinated organic toxins in foods. You can contact Randy at randaltucker@gmail.com and viceroy@arkansas.net . Craig received an MD from UAMS and is currently a family practice physician in the Bannister-Lieblong Clinic in Conway. Teresa is the Chemistry Superintendent over the Chemistry Department at Arkansas Nuclear One. There are 31 in the department including Supervisors, Specialists and Chemists. She has been at ANO for 24 years. Teresa began work at ANO in 1981 as a Chemist two weeks after graduating from UCA with a B.S. in Chemistry. She also held the positions of Chemistry Specialist and Site Human Performance Lead at ANO. She has two children, Lauren (age 21) and Justin (age 18). Lauren is a senior at Arkansas Tech University and Justin will be a freshman at ATU in the fall 2005. Her daughter is majoring in pre-med and music and her son plans to major in biology. Dan is employed at Entergy, Arkansas Nuclear One. He originally chose the job because it was close to his girl friend and has been there ever since. He and his girl friend, Kim, are now married and and have one son, Kyle. They recently celebrated their 25th wedding anniversary with a trip to Egypt and Kenya. At Nuclear One, Dan is in charge of the steam generators. Specifically he tests for possible breakdown in the Inconel tubing with which they are plumbed and which are under 2250 psi of pressure. After graduate school at GIT (UALR) Ray got a job with an electronics manufacturing firm in Maumelle. Ray currently lives in Conway. Jim attended graduated school in chemistry at the University of Oregon. Mark started his career as a research chemist with Phillips Petroleum Company in 1981. Mark holds several US and foreign patents for Ryton® and other plastic resin inventions. In 1995, Mark became the commercial manager for Phillips’ Ethylene Business which became Chevron Phillips Chemical. Mark was responsible for over $2 billion in annual sales as the Ethylene Director. Mark applied analytical and mathematical skills from his research and development background to model the commercial and economics aspects of ethylene markets. During his tenure, Mark successfully negotiated over 8 billion pounds of ethylene sales into long term contracts and sold/purchased over 1 billion pounds of short term spot ethylene. Woods lead an effort to develop a physical hedge for Old World’s significant energy exposure by starting up an independent oil and gas exploration company. Ventum Energy was formed in late 2004 to implement strategies to reduce the volatility and cost of Old World’s energy consumption. Ventum Energy was involved in the early stages of the current shale oil and gas boom. In 2007, Mark identified a significant need in the North American Ethylene market for an independent consultant to provide strategy development, analytical modeling, and commercial trading expertise. Mark created Ethylene Strategies International, L.P. (ESI) to provide confidential one-on-one consulting/advising to help companies evaluate, design and implement business strategies in the olefins markets. ESI developed a set of proprietary models to track supply and demand and statistical trading trends of ethylene. ESI licenses these models to commercial (trading) participants in the ethylene, ethylene derivative, and natural gas liquids markets. ESI also works with senior management teams to provide a strategic advisory service. Mark married Denise Coleman in 1987 and have three boys (Stephen (24), Daniel (22), and Philip (20)). Stephen is a forestry major at Stephen F. Austin State University. Daniel is an engineering major and Philip is a finance major at Oklahoma State University. Ray went to law school and currently practices in Little Rock. Gary worked at the crime lab for a time, then went to pharmacy school. After receiving an M.S. in mathematics from Ohio State University John attended seminary and is currently involved in work with his church. Bob has received a degree in engineering and is currently retired from the air force. He currently resides in Colorado and works as a private consultant for the aerospace industry. Brad went to medical school at UAMS. Danny completed medical school at UAMS on a Navy scholarship. 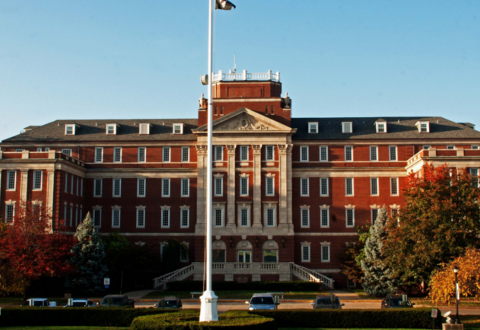 After several years as a navy physician during which he completed a residency in anesthesiology Danny joined the faculty at the University of Kentucky medical school where he served as Chief of Staff. He is currently employed full-time at the VA Hospital in Lexington. Cathy completed a degree program in Occupational Therapy and she currently resides in Conway. Gary did graduated work in chemistry at the University of Dallas and currently works in industry in the Dallas area. Lessie is an owner of a private testing laboratory in Little Rock. Michael practices obstetrics in Conway. 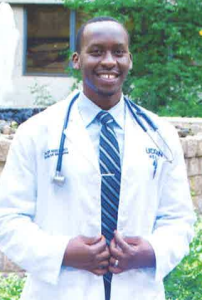 Randall graduated first in his medical school class and currently practices medicine in northwest Arkansas. Clark graduated with a Ph.D. in synthetic organic chemistry from Texas A&M in 1989, working under Kenn Harding. His employment history has included stints with Ciba Specialty Chemicals, Union Carbide and he is now working for Dow Chemical following the Union Carbide-Dow merger. Clark and his wife Karen recently relocated to the San Francisco area when he took a position with Dow Agrosciences in their Pittsburg, California facility. Larry completed his Ph.D. in physical organic chemistry at the University of Arkansas under Dr. Norbert Pienta in 1989. He has been employed by Halliburton Energy Services in Duncan, OK for 15 years (with two years in Houston with a chemical company from 1994-96). “Work at Halliburton has been very good and has allowed me travel all over the world, which I have really enjoyed.” Larry and his wife, Jessica, two sons, Jeremy (15) and Jared (12). He stays active, playing softball in the summers and more recently playing golf, which Jessica has taken up also. Deanna received her M.D. degree from UAMS in 1988 and completed residency in Family Medicine at the AHEC Fort Smith Residency Program. She worked in the ER of Howard Memorial Hospital at Nashville, AR and later at a rural clinic in Stephens, AR . She was a Faculty Physician at the AHEC South Arkansas Family Medicine Residency Program for 7 years in El Dorado, AR. Since December 2004, she has been serving uninsured patients at the Interfaith Clinic in El Dorado. Deanna and her husband, Rodney, have four children, Audra Claire, Benjamin, Nicole, and Hannah. Luke lives in Conway and is an air traffic controller at the Little Rock Airport. After UCA Tim attended the UA Graduate Institute of Technology and ran the chemistry and microbiology labs at the Little Rock water utility until 1991. 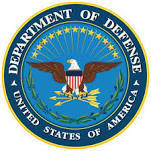 Since that time he has been doing safe drinking water act work including lead surveillance, chemical terrorism and preparedness work, and emergency food response work with the Arkansas Public Health Lab at the State Department of Health. He is currently the Inorganic Chemistry Unit manager. Tim continues to live in his hometown, Congo, in Saline county. Bill attended medical school at the University of Mississippi from 1985-’89. Following graduation, He did an Ob-Gyn residency at the University of Oklahoma-Tulsa from 1989-’93. He moved to Searcy in July 1993 and continues his practice there. Bill married Ruth Taylor, a 1985 graduate from the UCA Dept. of Physical Therapy. Bill and Ruth have five children: Benjamin, Meredith, Stephanie, Emma, and Daniel. Tom completed a Juris Doctorate with honors at the University of Arkansas at Little Rock’s William H. Bowen School of Law in 1995. He entered the Arkansas Air National Guard shortly after graduation from UCA and in October, 2008 was appointed as commander of the 188th Fighter Wing stationed in Fort Smith. The 188th recently changed from Lockheed Martin F-16 fighters to Fairchild-Republic A-10 Thunderbolt II ground attack and close air support aircraft. The 188th is scheduled to be deployed to Afghanistan in 2010. Hoang attended medical school at UAMS. Laura taught in the Mayflower and Conway public schools. She and her family currently live in Alaska. Kelli accepted a position in sales with Waters Associates. Gary and his brother, Edwin currently operate the emergency medicine for White County Hospital in Searcy. Steve attended medical school at UAMS. Brooks received his M.D. degree from UAMS in 1990 and did a residency in family practice at the US Air Force Regional Hospital at Eglin AFB in Florida. After serving in the US Air Force from 1990 to 96 he returned to Conway where he currently has a private practice as a family physician. He is married to his high school sweetheart, Pam Berry, and they have four children: Benjamin, Caleb, Anna, and Elizabeth. Joe is married to Karen Buddenberg (B.S. ’86). He received M.S.and Ph.D. degrees from the University of Arkansas in agronomy, specializing in the environmental chemistry of pesticides. From 1995 to 2000, He worked as a research chemist at DuPont Crop Protection in Wilmington, DE. and is currently an associate professor at Mississippi State University (20% teaching, 80% research). He teaches graduate-level courses in Herbicide Physiology & Biochemistry and the Environmental Fate of Herbicides and serve as the program coordinator for MSU’s Environmental Science program, which involves teaching Introduction to Environmental Science to undergraduates. His research investigates the environmental fates of pesticides, emphasizing water-quality issues. Karen works as a CPA at a local hospital. Jerry received an M.S. in analytical chemistry from the University of Alabama. After graduation, she spent a few years at Eli Lilly & Company in Lafayette, Indiana and then returned to Arkansas to work for Eastman Kodak in Batesville (the site is now FutureFuel Chemical Company). Lisa worked at the Arkansas State Crime Lab in a variety of capacities including trace analysis. Marc graduated from pharmacy school in 1990. He served in the Arkansas Air National Guard from 1990-98 where he was an F-16 fighter pilor from 1993-98. Marc currently lives in Conway where he is a pharmacist for Kroger. Marc and his wife, Jill, have two children, Mallory and Madeline. After finishing at UCA, Gary completed a master degree at UA/GIT. While in graduate school,he worked for American Interplex part time for a couple of years. running their special testing. He worked for a few years at UAMS doing NMR/MRI research and then went to work managing the information systems for the UAMS Pathology Dept. In 1999, he moved to Florida to install a system for Y2K at Memorial Healthcare (www.mhs.net), and as a bonus to the project, got married. About 3 years ago he started brewing beer, got into the whole brewing competition circuit, and now holds certification as a Beer Judge. Steve completed his Ph.D. degree in chemistry at the University of Kansas and currently is on the faculty at Central State University in Oklahoma. Mona went to work for NCTR in Pine Bluff. Cindy attended medical school at UAMS. Donna has a position in pharmaceutical sales in Memphis. 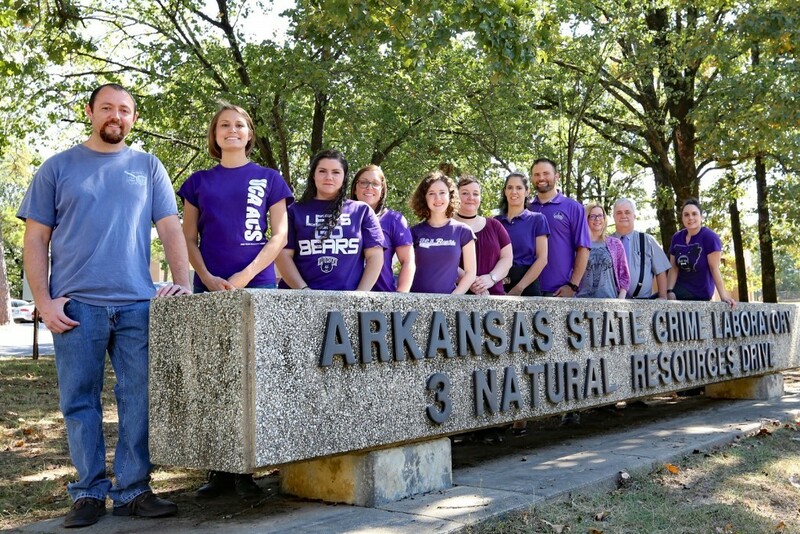 Mike worked for the Arkansas State Plant Board for 3 years after graduating from UCA. He went to the State Crime lab for 5 years, then came back to the plant board where he is currently employed. Shelly worked at UCA as manager of the chemistry storeroom for several years. She is currently director of laboratories at Hendrix. Shelly was featured in Chemical and Engineering News (June 28, 2010, pp. 14-20) in an article that highlights CPT’s emphasis on safety in its new (2008) guidelines. 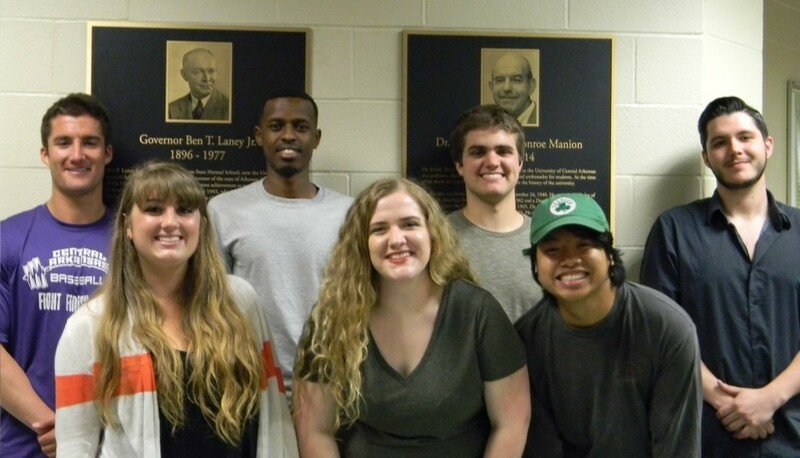 The article includes a picture and interview of Shelly as well as a summary of how Hendrix College has incorporated safety into their chemistry curriculum. Read the article here! Shelly gave a talk at the spring, 2010 ACS meeting in a division of Chemical Health and Safety (CHAS) symposium about what she is doing at Hendrix to comply with the new safety guidelines. As a result she was invited to submit a paper for a special issue of the CHAS journal highlighting undergraduate safety sometime in the winter of 2010. Brian completed a Ph.D. in analytical chemistry at the University of Tennessee in 1995. He was chosen the top graduating analytical student. He went to work at Alcon Laboratories (world’s largest ophthalmic pharmaceutical company). Where he was promoted to the level of Assistant Director of Analytical Development. In 2006 became the Director of Analytical Sciences with United Therapeutics (Biopharmaceutical company), located in Research Triangle Park, NC. Brian is married (wife’s name is Summer) and they have a son, Matthew. His wife is attending Duke University in their Masters program in Nursing. Eventually she will be a pediatric nurse. Sandra began her career in the QA lab of ConAgra Frozen Foods in Batesville. 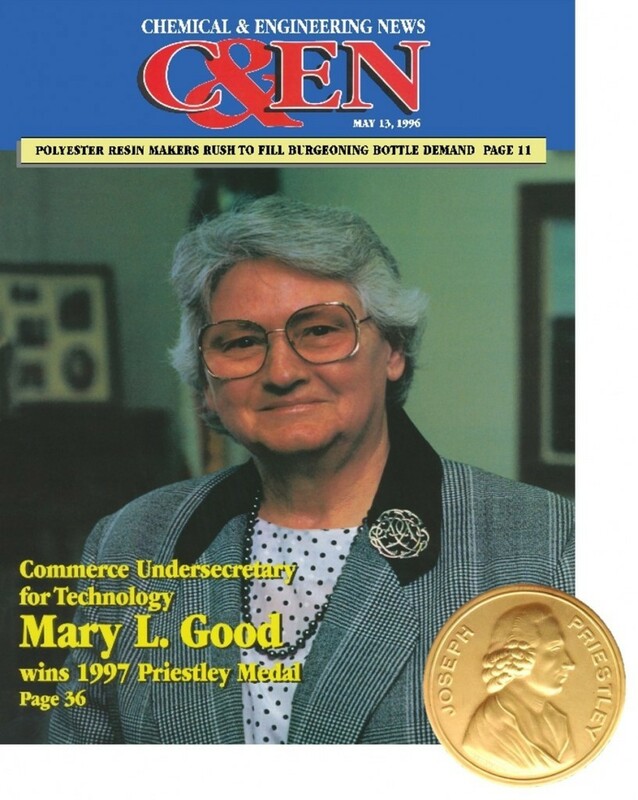 She was responsible for nutritional testing of finished food products and ingredients as well as quality control testing for the on-site chicken feed mill. She was promoted to Senior Chemist and made was responsible for coordinating the pesticide testing and wastewater analysis programs in the lab. In 2001, Sandra left ConAgra and went to work for Entergy, Incorporated as the Chemistry Supervisor at the Independence Plant in Newark, Arkansas. In May of 2005, Sandra moved to The Woodlands, Texas to work in the Environmental Services group for Entergy Fossil. In her role there, she serves as the Federal Issues Lead for Water Media and is the Water Lead for Texas Environmental Support. Her job includes working with the Water Leads from Arkansas, Mississippi and Louisiana Environmental Support offices to coordinate NPDES permitting and compliance and Toxic Release Inventory reporting for 29 fossil fueled power plants and 2 hydroelectric dams. Louis is employed by the Arkansas State Department of Health. Jeffrey attended medical school at UAMS. After completing his Ph.D. degree at the University of Arkansas in 1996 Russell held postdoctoral research positions at the University of Hawaii (1996-1998) and the University of Kansas (1998-2000). He then joined Cedra, a pharmaceutical contract research organization based in Austin, TX. In 2004, he moved back home to Greenbrier and is now president of his own CRO business, BerTek, Inc.
Russell and his wife, Timsey, have three children: Kassidy, Brandy and Wesley. Jill completed a degree in Veterinary Medicine at Oklahoma State University. She currently teaches in the Marshall Public Schools. Brett received an M.S. in chemical engineering in 1994. Two years later he applied to medical school and received his M.D. from UAMS in 2000. He completed a residency in orthopedic medicine at the University of Kansas Medical School in 2005. He is a Fellow of the American Academy of Orthopedic Surgeons and practices orthopedic surgery in Indiana. After graduating in May 1992, Susan joined Eastman Kodak Co. in clinical chemistry & sales. She was a diagnostic & laboratory sales representative and sold blood chemistry analyzers to veterinarians, physicians and small hospitals. In August 1994, She married and relocated to NW Arkansas where she worked for the City of Bentonville Wastewater Treatment Plant as laboratory manager before going to Beaver Water District as a laboratory technician. She has since joined the “Wal*Mart Community”. Her employer, Design Accents, is a supplier to WalMart. Her job duties have included domestic and import experience, sales & analysis, category management, and brand and product development for our wide assortment of products. She and her husband, Jerry, have two sons, ages 7 & 3 and have just recently moved Sherwood to be closer to family and friends. Upon graduation from UCA Roger took a position with Buckman Laboratories. Buckman Laboratories is a specialty chemical company based out of Memphis, TN with a focus in the pulp and paper industry. His primary chemical focus has been microbiocides and polymers that aid in the papermaking process. His first position in Buckman was as a district sales representative. He is currently the southern sales director over a sales force of 60 people. Roger and his wife, Michelle live in Greenbrier with their two daughters (Shali and Sofie). Jonathan completed a Ph.D. in physical chemistry at the University of Missouri at Rolla. He then attended medical school at UAMS. Becky received a Ph.D. from the University of Mississippi in February of 1998 and began work at Eastman Chemical Company, Arkansas site, as an analytical chemist in March 1998. The Arkansas site was sold in 2006 and became FutureFuel Chemical Company. After 15 years in the analytical laboratory as a chromatographer, Becky moved to the Health, Safety, and Environmental department where she currently is responsible for coordinating OSHA’s Process Safety Management regulations at the site. Crissy completed an MS in chemistry at Duke. After working for a while she returned to graduate school at North Carolina State University where she finished a PHD in biophysical chemistry in 2007. Crissy and her husband, David Chaparro, have two daughters, Isabel and Sofia. They live in Raleigh, NC where he is employed as a construction engineer and Crissy works for a pharmaceutical company. Tiffny received her Doctorate in Physical Therapy from U.C.A. in 2003 and began working for Conway Therapy Services. She has plans to specialize in Women’s Health Physical Therapy. She and her husband, Brian, have two children, Sydney Alena and Zachary Aaron. Brian and Tiffny live in Oxford, Mississippi where Brian works as a pharmaceutical sales rep for UCB Pharma and she currently stays at home with the children. They are assisting in the formation of Grace Bible Church of Oxford. Teddy is currently the Environmental, Health and Safety Coordinator for Bryce Corporation in Searcy, Arkansas. 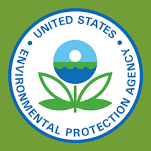 His work involves maintaining compliance with various EPA, DOT and OSHA regulations, Radiation Safety, Food Safety and Security. He is married to Linda (Johnston) Townsend, who graduated from UCA in 1997 and teaches Elementary Music at Pangburn Public Schools. Derek graduated first in his class in medicine at Meharry in Nashville, TN. Following that he did a a 5 -year surgical residency in otolaryngology head and neck surgery followed by fellowship training in Facial plastic and reconstructive surgery which covers cosmetic surgery of the face as well as reconstruction of congenital and acquired defects in the head and neck region. Some of the surgeries he performs include repair of cleft lip and palate, distraction osteogenesis (growing new bone by distraction) minimally invasive approaches to removing tumors of the anterior base of the brain, microvascular tissue transfer (transferring tissue from one part of the body to another with suturing of hair-thin blood vessels and nerves), cosmetic surgery of the aging face etc. His family has grown to 5.his wife Ruth, a daughter and 2 twin boys. He just joined Johns Hopkins University Hospital as an assistant professor. “Besides my clinical practice, I am active in teaching medical students, residents and Fellows the art and science of facial plastic and reconstructive surgery. I am also actively involved in tissue engineering research. 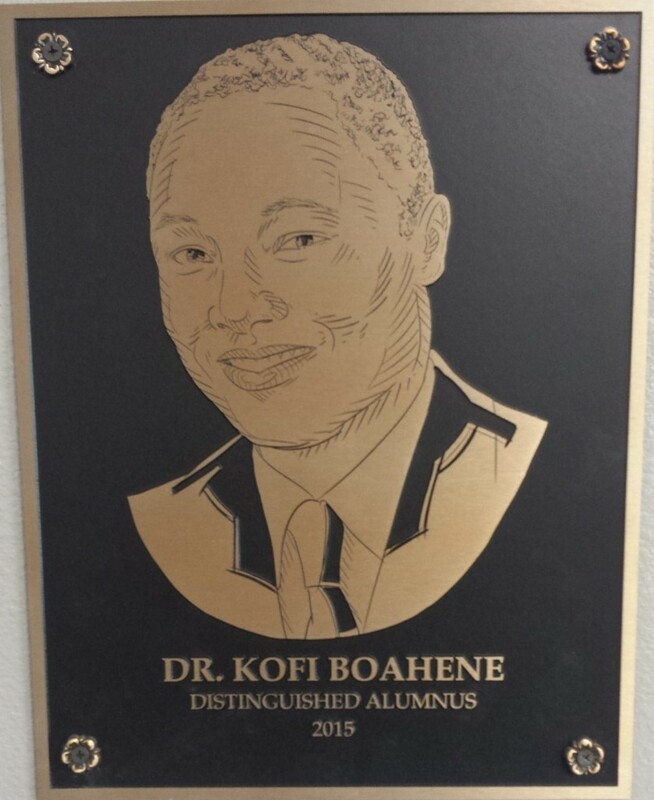 I recently won the top honors in facial plastic surgery in the country for attaining the highest score in our specialty board exam.” Dr. Boahene was recognized as a distinguished UCA alumnus in 2015. His career was summarized in a 2013 CNN video. Jody did graduate work at UALR and is currently on the faculty at Northeast Oklahoma in Talequah, Oklahoma. Darrin currently teaches chemistry at Greenbriar High School. He has done graduate work in chemistry at UALR. In 2016, Darrin was recognized as the GHS Teacher of the Year. Trey went to graduate school at the University of Illinois where he graduated with an M.S. Degree in chemistry. He is currently working in the St. Louis area. Brian completed a PhD from the University of Tennessee in computational/physical chemistry in 2000. His doctoral research focused on theoretical investigations of rotationally inelastic He + LiH collisions; these collisions may have played an important role in the colling processes that allowed primordial molecular clouds in the early universe to condense and form stars. While at Tennessee Brian received the Chemistry Department’s Outstanding Teaching Award in 1998, a Departmental Research Merit award in 1999, and the Eugene John Barber Fellowship in Chemistry in 1999. In 1999 he was also selected as the Outstanding Teaching Assistant by the Student Affiliate Chapter. While completing his dissertation, he gained teaching experience at Maryville College. He became a tenured Associate Professor of Chemistry at The University of Texas at Tyler teaching General Chemistry and Physical Chemistry and maintaining a research group involving undergraduate students. He also served as faculty advisor for the UT-Tyler Student Affiliates Chapter, which has received several national citations for excellence. In 2005, Brian received the University of Texas Chancellor’s Council Teaching Award, the highest recognition for outstanding undergraduate teaching available to faculty serving in the UT system. Brian and his wife, who he met at UCA, have two boys. Brian was found dead in his home on November 3, 2008. Chris graduated from Southern College of Optometry in May of 2001. After briefly practicing in Conway, he purchased a private practice in Mtn.View, AR and has been in solo private practice since. His office is on the courthouse square in Mtn. View. Chris and his wife, Kalah, have two children, Eli Gibson and Mabry Grace. Alex completed an MS in Chemistry at the University of Missouri – Columbia and is pursuing a doctorate in education there. Patrick completed his Ph.D. in chemistry at Texas A & M. He is currently employed with a laboratory in North Carolina. Philip is employed as a chemist by Georgia Pacific Resins in Crossett, AR. Phillip went to work for the State Department of Health and worked in blood alcohol before settling in radiochemistry. Phillip died at home in 2016. Kevin completed a degree in chemical engineering at the University of Arkansas and then worked for Tokusen in Conway. Neal received an MS in Environmental Science from the University of Colorado. He has been employed as an environmental chemist for Colorado Springs Utilities since 1997. He works in the inorganic section and has completed method development for low level mercury detection using cold-vapor atomic fluorescence. He has two beautiful daughters, Katarina and Isabella. Rusty received an M.A. in inorganic/polymer chemistry in 2000 from the University of Virginia. He began work with Ana-Lab Corp, an environmental testing company, in Kilgore, TX doing pH/conductivity measurement, and similar tests; what most environmental labs call “classical chemistry”. In 2001, while still at Ana-Lab, he moved to the metals analysis group where he analyzed water and soil samples that had been digested with acids and heat. The digested samples were usually analyzed for mineral and/or heavy metal content using ICP-AES and ICP-MS. In 2003, he became Special Projects/Classical Chemistry Supervisor at Ana-Lab. This job involved assisting lab technicians with problem solving and training new techs and examining methods in the literature and converting them to laboratory SOPs. In addition he helped customers develop new methods to suit their needs or to modify existing methods in the literature. Sheri went to medical school at UAMS. She is currently working as a physician in Alabama and is expecting her first child. Leah completed an M.S. degree at Emory University. 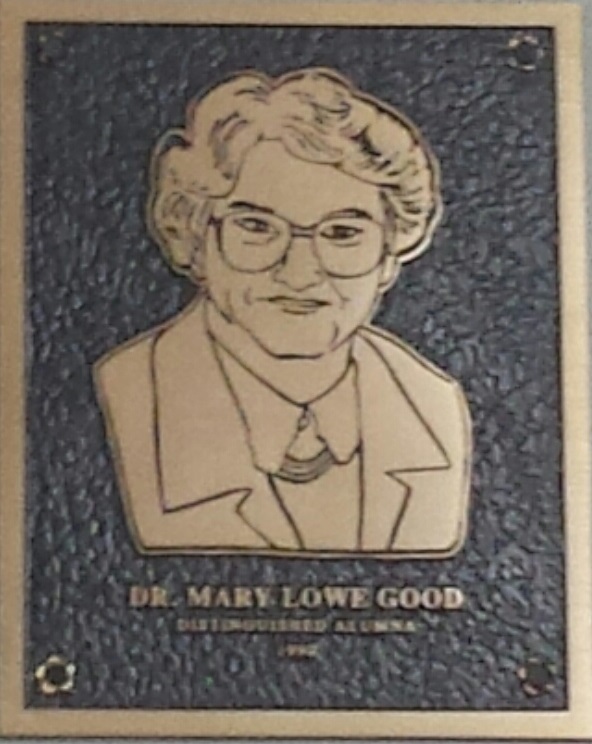 She served as the founding resident master of the STEM Residential College at UCA. She is currently teaching biology and serving as Assistant to the Chair in the Biology Department at UCA. Chris worked with Young Life after graduation and then went to medical school at UAMS. Jason has completed his medical training at UAMS and is now employed as an ER physician at Conway Regional Hospital. Donnie enrolled in culinary school in Charlotte, North Carolina. He married Missy Snodgrass. They are currently at California State University, Fresno where Donnie is employed by the University. Missy married another 1998 alum, Donnie Golden, that same year. She completed her Ph.D. in inorganic chemistry under Marcetta Darensbourg at Texas A&M. She spent two years working with Prof. Bernadette Donovan-Merkert at UNC Charlotte, on an NSF-funded teaching/postdoctoral appointment. In Fall 2006, she began a position as tenure-track assistant professor in the Department of Chemistry at California State University, Fresno and is currently a tenured associate professor at CSU Fresno. Ronnie completed an MS in Chemistry at Youngstown State University. After receiving his Ph.D. from Texas A&M Michael held one year teaching positions first at University of Arkansas-Fort Smith and then at California State University, Stanislaus. He is currently (2008) in a two year position at Rhodes College in Memphis where he will be teaching organic and directing undergraduate research. Michael and his wife are expecting their second child in January of 2009. After working for a time at the Arkansas State Crime Lab, Lori entered Pharmacy School. Suat-Nee returned to China where she was employed as a chemist. She returned to school there and completed an MBA degree. Brittnaie is currently a graduate student in chemistry at the University of South Carolina. She previously taught high school chemistry in Dallas. Tony went to medical school at UAMS. Aaron received his M.D. from UAMS and then completed a residency in internal medicine. He is currently practicing in Pine Bluff. I’ve been working at the Arkansas Regional Laboratory (on the NCTR campus) for seven years now. I currently work in food sanitation and decomposition, performing fluorometric analysis for histamine. My wife and I are currently living in North Little Rock. Charity is in graduate school in chemistry at the University of South Carolina. The last word was that she was defending her thesis on November 15, 2005 and expects to graduate on December 12, 2005. Michael is teaching high school chemistry in the Little Rock area. Scott is working on a Ph.D. in biochemistry at the University of Texas – Austin. After graduating from UCA Andrea completed a Ph.D. at Texas A&M in August, 2005. She worked under the direction of Dr. Donald J. Darensbourg and studied the copolymerization of epoxides and CO2 to produce polycarbonates and the copolymerization of aziridines and CO to produce poly-b-peptides. The work involved organometallic synthesis of metal-based catalysts and kinetic and mechanistic studies utilizing in situ ReactIR. Upon completion of her Ph.D. she accepted up a job with BASF in their PDP program. The PDP program involves working at two different plant sites for nine months apiece, and after this time getting a permanent position. She ultimately was located with BASF in Charlotte, NC. Andrea married Patrick Hamilton, who she met in the chemistry department at Texas A&M. They were married on October 15th, 2005 in Conway, AR at St. Joseph’s Catholic Church. Upon completion of his Ph.D. Patrick also obtained a position with BASF. In September 2010, Andrea resigned her position with BASF to be a full-time mother to her young son, Owen. She hopes one day to teach at the high school or college level. After Taimur graduated from UCA, he got married to Marcy Major, spent a year at the Center for Toxicology and Environmental Health, and continued working with YoungLife. He was employed at CTEH as an analytical chemist but also worked on GIS projects and emergency response. He then moved to Lexington, KY in July of 2001 to work on a Ph.D. in main group chemistry with Dr. David Atwood at the University of Kentucky. His primary focus has been on the synthesis of arsenic dithiolate systems with a purview towards biological mimics and future drug use. Last word was that he hoped to defend in August or September of 2006. He and his wife have a son and he is still involved with YoungLife. Micah received his Ph.D. from the Georgia Institute of Technology and did postdoctoral work with Dr. T. Daniel Crawford at Virginia Tech. He joined the UCA chemistry faculty as a theoretical chemist beginning in the fall, 2006 and served at UCA for two years. He then left UCA for a position in the private sector in the Washington, DC area in 2008. In collaboration with Dr. Will Slaton (UCA Dept. of Physics and Astronomy) Micah established several initiatives supporting undergraduate research at UCA. One of these, the Advancement of Undergraduate Research in the Sciences (AURS) program, recognizes outstanding student research theses and financially supports summer research experiences for UCA students with faculty. A video summary of Micah’s Fall 2014 visit to UCA is a linked here. Michael attended the University of Arizona graduate school in chemistry. Ryan completed a Ph.D. in inorganic chemistry at the University of Arkansas and currently serves as Vice President of Operations for Heritage Environmental Services in Haskell, Arkansas. Jody is an Arkansas native, growing up in the Marche Community in North Little Rock. After graduating from UCA with his chemistry BS (December 2000), Jody took a brief internship at Tokusen USA in Conway, AR (Spring 2001) then enrolled at Texas A&M joining the analytical chemistry research group of Prof. David Russell. Jody’s dissertation work involved designing and constructing several analytical instruments based on the ion mobility and mass spectrometry techniques. Jody completed his Ph.D. at Texas A&M in the summer of 2009 and accepted a postdoctoral position at Vanderbilt working with Prof. John McLean who presented a seminar at UCA in the spring of 2009. In 2011, Jody was appointed to the Research Faculty in the Vanderbilt Department of Chemistry where he continues to design and construct new instrumentation and mentor the next generation of analytical scientists in the McLean Laboratory. Jody presented a seminar at UCA in the fall of 2013. Jody met his wife, Stacy Sherrod, while at Texas A&M. Stacy is a researcher in the Department of Physics and Astronomy at Vanderbilt where she works on microfluidics and artificial organ constructs. They were married in 2009 and currently live in Nashville, TN with their daughter, Natalie. 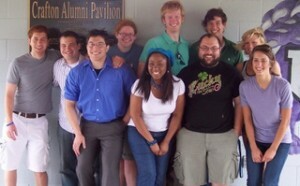 Brendan is completing his Ph.D. in chemistry at the University of Missouri – Rolla. Michelle has completed the coursework for a Ph.D. in pharmacology at UT-Memphis. She will be doing an internship in Knoxville. McLane received his M.D. degree from UAMS in 2005. He is currently a Family Practice Resident in Texarkana. Upon completion of his residency, he will begin a practice in Arkadelphia. McLane and his wife, Laura, have two children: Gavin and Laney. Since working at the Arkansas State Department of Health, R-2 is now with the Texas Department of State Health Services. He is also currently enrolled in a masters program in Criminology and Criminal Justice at Florida State University. He is accomplishing all of this in spite of suffering from keratoconus, which has dramatically affected his vision to the point that he was recently declared legally blind. Gary is a graduate student at Georgia Tech University. Gary recently gave a seminar at UCA. His work at Georgia Tech has been supported by a natural gas hydrates consortium. He has designed and build an apparatus to use IR spectroscopy to study these natural gas hydrates on the floor of the Gulf of Mexico. Vincent has completed his Ph.D at the University of Rochester. He is currently a faculty member at Henderson State University where he teaches organic chemistry. Jeremy received his Ph.D. from Georgia Tech in 2007. He did post-doctoral research at postdoc at the Weizmann Institute of Science in Israel until 2010 and has been on a post-doctoral appointment at MIT since that time. David graduated with a Master’s Degree in College Student Personnel Administration from Central Missouri State University in Warrensburg, MO and has been employed for the past two years by Arizona State University. James is enrolled in the Ph.D. program in chemistry at Louisiana State University. Shane is enrolled in medical school at UAMS. In 2005, David joined Labcorp in their Occupational Testing Section, performing testing of drugs of abuse for the DOT and other contracts. He works in the confirmation lab as a GC/MS Analyst. However, my main duty is maintaining 18 instruments with ages ranging from the early 80s to this year’s new model. Their sample volume has more than doubled in the last year and David has been asked to assist in designing the confirmation lab at their new site in Southaven, MS.
Jason expects to complete his Ph.D. in Physical Chemistry from the University of Arkansas, Fayetteville in the spring of 2007. Jason plans to obtain a position in industry upon graduation. He hopes to work in the area of nanotechnology. Nathan is a bioanalytical chemist with the U.S. Food and Drug Administration’s National Center for Toxicological Research located in Jefferson, AR. He received a full-time position with the NCTR in March 2002 (after an internship with them beginning February 2000). His primary duties are to perform method development, sample preparation, and sample analysis using liquid chromatography/mass spectrometry. His laboratory works primarily small molecules and pharmaceutical drugs and other genetic and developmental toxicants. as an Analytical Chemist. In December 2006 he moved to the Lipsticks & Nail Enamel Division and took the position of Quality Assurance Technologist. In this role, he handles final release of finished goods, oversees all component testing, and acts as the liaison between the FDA and the production division. Candice is enrolled in pharmacy school at UAMS. Stacey works at the Arkansas State Crime Lab in Little Rock. Pamela is employed in a laboratory at UAMS. Jeanette and her four children moved to northern Virginia. She is currently teaching junior high science at St. Ambrose Catholic School there. She plans to take the MCAT in August 2006 with plans to attend medical school beginning Fall, 2007. Kristin received a Ph.D. in physical chemistry at Texas A&M University in 2009. After a year’s post-doc at Arkansas State University she joined the UCA chemistry faculty as a temporary instructor in the fall of 2010. In Fall, 2012 Kristin accepted a permanent, tenure-track position in the UCA Chemistry Department where she will teach physical chemistry and freshman chemistry courses. Her research is in the area of laser spectroscopy. She is married to Todd Dooley and they have two daughters. After graduating from UCA, Charity spent one year working at UAMS in the Endocrinology department as a Research Technician. Then she attended the University of South Carolina, where she graduated with a Ph.D. in Biochemistry in December of 2005. Her work at USC was done under Dr. James Sodetz. The laboratory focused on the structure and function of the terminal complement components. They used cloning, protein expression and purification, and functional assays as well as protein crystallography to determine the nature of the interactions of these proteins. Charity did her Postdoctoral Fellowship at the University of Tennessee Health Science Center (UTHSC) under Dr. Malak Kotb. Dr. Kotb’s laboratory is focused on studying the genetics of susceptibility to diseases. Her primary project was to determine the genetic factors that are involved in host resistance to two different pathogens, *Francisella tularensis Live Vaccine Strain* and Cowpox virus. She is currently working at UTHSC for Dr. Maria Gomes-Solecki, who developed an oral vaccine for Lyme’s Disease while in New York. Charity will be following the same model to develop a vaccine for Avian Flu. She is married and lives in Memphis, TN. Upon graduation Misty enrolled in medical school at UAMS. Josh graduated with his Ph.D. in Medicinal Chemistry from the University of Tennessee Health Science Center in Memphis in May 2010. Upon graduating, he and his family moved to Searcy, AR where he served as an Assistant Professor of Pharmaceutical Sciences in the College of Pharmacy at Harding University. In August 2016, Josh received a promotion to Associate Professor. Josh is married and has three daughters. Erin earned her Pharm. D. degree from UAMS, is currently a Board Certified Pharmacotherapy Specialist and Clinical Coordinator at the White River Medical Center on Batesville, AR. Since March of 2006, Melissa has worked as an Analytical Chemist at the L’Oreal (Maybelline) manufacturing plant in North Little Rock. Her lab uses HPLC, UV-VIS, and AA (Atomic Absorption) to test liquid, powder, and solid make-up for the amount of preservatives and OTC products. She currently serves as the Industrial Quality Manager at L’Oreal. Blake attended pharmacy school at UAMS. Amber Rochelle, now Amber Spivey, graduated from UAMS in 2011 with a degree in pharmacy. She works for Wal Mart in New Boston, Texas. She is married and raising a family as well. Regan is employed at the Arkansas State Crime Lab where she says “I work in the drug section at the crime lab. We analyze evidence for controlled substances. The main ones are marijuana, cocaine, and methamphetamine, plus several kinds of abused prescription drugs. About 60% of our time is spent doing paperwork, sampling the evidence, and taking notes. To do the analysis, we run the samples on GC-MS and use TLC as a confirmatory test. We use IR mainly to tell cocaine HCl from its base form, because the legal charge is different for the different forms. Most of the time it’s fairly routine, but every once in a while we get weird stuff.” Regan moved into the public school classroom as a science teacher after a couple of years and is scheduled to be married in the spring of 2013. Cullen graduated with honors in chemistry in December 2005. His thesis was based on three years of research that he did with Dr. Bill Taylor produced three publications in the Journal of Physical Chemistry. He commissioned into the US Navy through Officer Candidate School after graduating from UCA. After completion of Nuclear Power School, Submarine Officer Basic Course, then Nuclear Prototype training, he joined the crew on board the submarine USS Michigan out of Bremerton, Washington. The first half of his tour was spent supervising the operations of the nuclear reactor and engine room. During the second half he supervised the day-to-day operations of the entire submarine and crew to include conning (driving) the billion dollar, 17,000 ton ship. After becoming Navy Nuclear Engineer qualified he spent two years teaching and advising NROTC at Virginia Tech while working on his Masters in Mechanical Engineering. He joined a research group that studies Automotive Engineering and Vehicle Dynamics with the goal of improving vehicle system performance by studying the interactions between the vehicle and the terrain. His research has been accepted for publication in the Journal of the Society of Automotive Engineers. He expects to finish his degree by May, 2013. In January, 2013 he began a job as a Technical Manager at Reliant Technologies in east Texas, close to his home in Texarkana. Relian designs, fabricates, installs and operates non-destructive testing equipment for other manufacturing companies. He married his high school sweetheart, Casey, in September 2008 and their son Sawyer was born in 2011. Brandon is enrolled in the PhD program in chemistry at the University of Arkansas. Andres is enrolled in the MD/PhD program at the University of Kentucky. He has joined the research lab of Dr. Becky Duch where he is studying mechanisms of viral entry of the human metapneumovirus, which causes respiratory diseases. His first paper will appear in the February 2009 issue of the Journal of Virology and he has received a travel award to present his work at the Experimental Biology/ASBMB meeting in April 2009. Andre was awarded an American Heart Association Predoctoral Fellowship to support his studies for the 2010-11 and 2011-12 academic years. Currently an orthodontist at Kingwood Orthodontics in Houston, Texas. Jeff received his Ph.D. in Analytical Chemistry from Colorado State University in 2013. His graduate research under Ellen R. Fisher focused on the plasma functionalization of biomimetic surfaces in an effort to enhance biocompatibility. This foundation in plasma-surface chemistry led him to Albany, NY, where he is currently employed by IBM’s Research Division as a process and integration engineer for next-generation semiconductor devices. After graduating from UCA, Clint joined the laboratory of Dr. Rebecca Dutch at the University of Kentucky in the Department of Molecular and Cellular Biochemistry. His PhD research focused on understanding how enveloped viruses (e.g. HIV, influenza) use a single protein, generally called a fusion protein, to enter cells. He obtained his PhD in 2011 and subsequently moved to the laboratory of Dr. Mark Denison at Vanderbilt University in the Division of Pediatric Infectious Disease. Clint’s postdoctoral research focused on SARS-CoV and MERS-CoV, two coronaviruses (CoV) infecting humans, as well as a murine coronavirus, mouse hepatitis virus (MHV). He worked to understand the molecular machinery responsible for replicating the large coronavirus RNA genome. Clint is currently an Assistant Professor of Biology at Sewanee: The University of the South, where he is teaching and continuing his research on MHV. Clint lives in Sewanee, TN with his wife. Ben attended pharmacy school at UAMS. Tamara is working in a local pharmacy and is in the process of applying to medical school. Got her Ph.D. in physical chemistry at Ole Miss in 2012. She is currently employed as a quality assurance analyst at Change Healthcare in Nashville, TN. Married with children. Got his Ph.D. at U of Arkansas, currently employed as a high school chemistry teacher Shiloh Christian School in Springdale, AR. Married with children. Bethany entered pharmacy school at UAMS. She was employed for a time by the UCA Department of Chemistry as Laboratory Coordinator. Nicole entered the nuclear medicine program at Baptist Health. Upon graduation from UCA, Emily was accepted into a graduate program at Georgia Tech. She received an M.S. in Chemistry in May of 2010. She served as a visiting assistant professor in the UCA Department of Chemistry during the 2011-2012 academic year, and entered a PhD program in biochemistry at the University of Iowa in 2012. Emily is now a PhD candidate in the lab of Dr. Brandon Davies and is currently completing her thesis in the field of lipid metabolism, elucidating mechanisms of GPIHBP1-independent triglyceride clearance. She has received several awards at her current institution, including an NIH training grant which provided support, allowing her to obtain a certificate in Bioinformatics. Emily expects to defend her thesis in 2017. Tori enrolled in a graduate program in biochemistry at the University of Kentucky and joined the UCA Department of Chemistry as an Assistant Professor of Chemistry in 2013. After graduation from UCA with her BS in Chemistry in Spring 2007, Lindsay spent the summer interning at Baxter Healthcare before attending UAMS in the fall. As an environmental health fellow for the Association of Public Health Laboratories, she completed her thesis, “Developing Greener Technology for Cotinine Biomonitoring Programs,” while working at the Arkansas Public Health Laboratory. In 2009, she received an MS in Interdisciplinary Biomedical Sciences and accepted a chemist position with the Arkansas Department of Health. While there, she worked in their Chemical Terrorism and Food Emergency Response Network labs utilizing a variety of methodologies involving SPE, ICP-MS, GC-MS, and LC-MS/MS. In 2011, Lindsay accepted a position with the National Center for Toxicological Research to be their in-house ICP-MS expert for the newly emerging Nanotechnology Core Facility and in 2013 accepted a permanent chemist position with the FDA’s Arkansas Regional Laboratory. Currently she works under the Food Chemistry Branch in the Filth and Decomposition Lab where she is involved in analyzing domestic and imported food products for ‘filth’ and color or additional additives as well as go on facility inspections. She resides in Sherwood, AR. Adam earned a PhD from Louisiana State University in Baton Rouge. Currently he is an associate research scientist in the Department of Chemistry at The Johns Hopkins University in Baltimore. In addition to serving as the associate director the PARADIM-Bulk Crystal Growth Facility (http://paradim.org/), he is also a Fellow in the Hopkins Extreme Materials Institute. Kim was a math major and was one physics class short of a degree in chemistry. While an undergraduate at UCA, she did research with Drs. Isom and Abrams. Kim went to graduate school at UAMS and earned a Ph.D. in Biochemistry and Molecular Biology in 2013. Kim then moved to the UCA Department of Chemistry as a visiting assistant professor. At UCA, Mikaela majored in biology with a minor in chemistry and did biochemistry research for Dr. Lori Isom in the Department of Chemistry. From there she moved on to graduate school in the Department of Biochemistry and Biophysics at Texas A&M in College Station, TX. She is now starting her fourth year in the doctoral program working for Dr. Tatyana Igumenova. Her dissertation work is focused on understanding the regulation of protein kinase C signaling, the malfunction of which has implications in Alzheimer’s disease and tumor progression. To accomplish this she uses nuclear magnetic resonance (NMR) techniques to study protein motions to better understand how the different PKC families are regulated. Immediately upon graduation Tim began work with an electroplating firm in Heber Springs. Rachel is a graduate student in biochemistry at University of Colorado at Colorado Springs. Tori moved to Portland, OR with her husband where he had a career opportunity. Since that time, she has been employed by Chrome Systems, Inc., which provides data services to the automotive industry. She is currently a lead person in content development. She began medical school in the fall of 2013 at Case Western Reserve University in Cleveland where she received a $20,000 scholarship to attend. David is studying biochemistry/biophysics at Texas A & M University. Tiffany got a BSN degree at UCA and is now a cardiac trauma and surgical ICU nurse at UAMS. 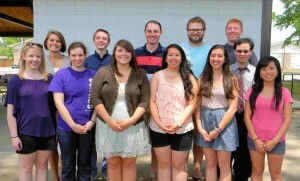 Zach is employed for a student mobilization group in Conway. After graduation Josh began working in the laboratory at L’Oreal Cosmetics in Lonoke. Erin earned her her Pharm. D. degree from UAMS and is currently working as a pharmacist in Fayetteville, AR. Ariel followed her research with Dr. Desrochers and her graduation from UCA with graduate school. She earned her PhD in physical chemistry in 2014 from Georgia Tech University, studying the quantum efficiency of light absorbing polymers. Along the way to earning her graduate degree, she received the Georgia Tech Department of Chemistry and Biochemistry Graduate Assistance in Areas of National Need (GAANN) Fellowship for two years and a graduate certificate from the School of Public Policy. In 2014-2015 she was an Arthur H. Guenther Congressional Fellow. She spent that year as a congressional fellow working on the staff of U.S. Rep. Mark Udall (CO). She then moved to the staff of U.S. Senator Jeanne Shaheen (NH), where Ariel currently is working as a science policy adviser to Sen. Shaheen specializing in energy issues. Ariel‘s work in this area was honored in March 2018 when she was named an Unsung Hero by the Alliance to Save Energy. Adam graduated with a PhD in Basic Medical Sciences with a focus in Cancer Biology from University of South Alabama Mitchell Cancer Institute in 2012. He was then a postdoctoral fellow for 4 years in the USA Center for Lung Biology where he was awarded two separate American Heart Association postdoctoral fellowships. In August 2016, he began his new role as an Assistant Professor of Biochemistry at the Alabama College of Osteopathic Medicine in Dothan, AL. Rebekah earned a PhD in Basic Medical Sciences from the University of South Alabama in 2015. She and her husband, Adam (mentioned above), have three children. From 2014-2016 she worked full time as an Assistant Professor of Biology at the University of Mobile. In August 2016 she started as an Assistant Professor of Microbiology and Immunology at the Alabama College of Osteopathic Medicine (Dothan, AL). Leah earned her Master’s degree in chemistry at university of Nebraska – Lincoln, and is currently a high school science teacher in Omaha, NE. Thi entered graduate study in chemistry at Ohio State University. Seth was employed for the summer following graduation as an analytical lab intern with FutureFuel Chemical Co. in his hometown, Batesville, AR. He performed a lot of GC and titration experiments to determine the quality of product development samples focusing on new methods for biodiesel refinement. He is currently pursuing a chemistry doctorate at Vanderbilt with an emphasis on physical/ analytical chemistry. Seth completed an M.S. degree in chemistry in Dec. 2012 and moved to Clarksville, TN with his wife who had obtained a job there. As of Sept, 2013 he was looking for employment in the Clarksville area. Katie was married shortly after graduation. She and her husband moved to Granger, IN which is close to Notre Dame where she ienrolled as a chemistry graduate student. In the Fall of 2012 notice was received from Dr. Kenneth Henderson, Chair of the Notre Dame Chemistry Department, that Katie had passed her doctoral “in very convincing fashion”. He said, “We are extremely pleased that she decided to attend Notre Dame for her graduate studies. Students like Katie have notably strengthened the quality of our program. I hope you will continue to recommend your outstanding students to our graduate program.” She will receive her Ph.D. degree in chemistry in May 2014 and will begin a career with Quintile, Inc. According to Wikipedia “Quintiles Transnational is the world’s largest provider of biopharmaceutical development and commercial outsourcing services with a network of more than 33,000 employees conducting business in approximately 100 countries. Quintiles has helped develop or commercialize all of the top-50 best-selling drugs on the market.” She will work as a consultant in business strategy at White Plains, NY. Josh is currently working at UAMS as a research technologist for Dr. Van Rhee’s Immunotherapy Lab in the Myeloma Institute for Research and Therapy. Currently they are collecting, activating, and expanding natural killer cells from patients so they can began human clinical research in October. The lab is excited about the upcoming study because they have been able to reverse both tumor development and bone destruction associated with myeloma, in an immuno-compromised mouse model that has a grafted human fetal bone infected with human myeloma using this type of immunotherapy in which natural killer B-cells are activated to recognize the cancer. Charles has spent most of his career working with home built mass spectrometry instrumentation. 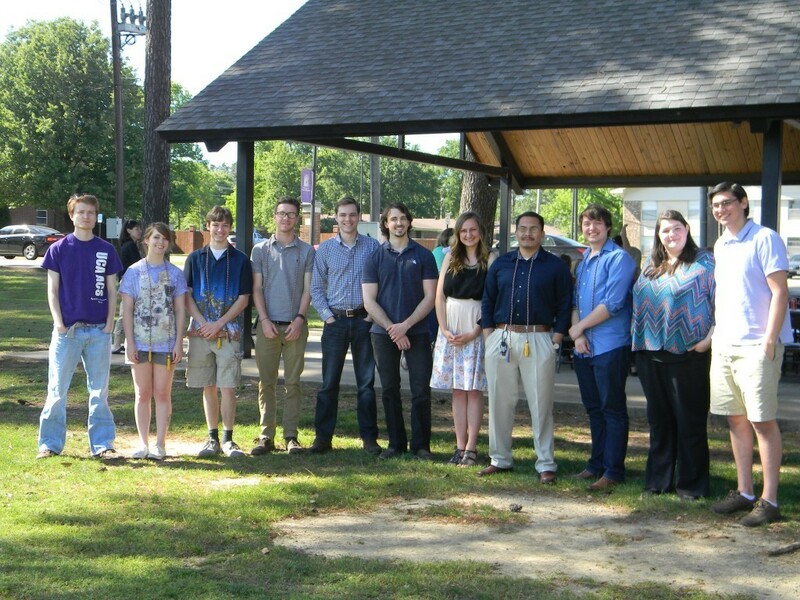 At the University of Central Arkansas, where he received a bachelor’s of science in chemistry, Charles investigated state-specific ion-neutral reactions using William S. Taylor’s selected-ion drift cell mass spectrometer. He went on to receive his Ph.D. in physical chemistry from JILA at the University of Colorado under advisors Veronica M. Bierbaum and W. Carl Lineberger. Charles’ thesis work was conducted using a Flowing Afterglow-Selected Ion Flow Tube (FA-SIFT) and a Negative Ion Photoelectron Spectrometer (NIPES). With the FA-SIFT, Charles measured kinetic rates and product distributions for ion-neutral reactions. The NIPES was used to measure the electron binding energies of anions. The complementary nature of these two experiments allow comprehensive thermochemical determination of hydrogen bond energies. To support his experimental work, Charles investigates thermochemistry, reaction dynamics, and mechanisms by performing electronic structure calculations. His thesis also focused on instrument development as he designed, constructed, and installed a working electrospray ionization source for the FA-SIFT. At Vanderbilt University, Charles investigates metabolomics problems using high-performance–liquid-chromatography ion-mobility mass spectrometry (HPLC-IMS-MS). She works as a chemist for Unilever in Jonesboro, AR. Unilever makes foods and personal care products. Kim enrolled in pharmacy school at UAMS in the Fall of 2010. Scott enrolled in an M.D./Ph.D. program at Emory University in the Fall of 2010. Daniel plans to take a year off from school and then apply to dental school. Jade continued his job as a surgical technician and then studied medicine at St. George’s University on the Island of Grenada. DJ enrolled as a graduate student in the Department of Chemistry at Texas A & M University. Liz graduated from Georgia Tech in 2011 with a Master’s degree in physical chemistry. She now teaches high school math and science in Jessieville, near Hot Springs, AR. She teaches Chemistry, Pre-AP and AP Chemistry, Physics, College Algebra and Trig, and AP Calculus. She now especially appreciates her chemistry professors at UCA for setting outstanding examples of good teaching and mentoring. Martin plans to work as a chemist or obtain an internship, perhaps at NCTR. Whitney has accepted a position as a quality control chemist for Rineco Chemicals in Benton. Sarah is considering graduate school after taking a break from school. Cory plans to pursue internships for a brief time and then apply for graduate study in chemistry. Immediately after graduation from UCA Brian worked as a toxicologist for Rocky Mountain Instrumental Laboratory in Fort Collins, Colorado. They do testing for forensics and for pharmaceutical companies. He resigned to pursue a career in the classroom and is currently practice teaching at Fossil Ridge High school in Fort Collins, CO. He expects to receive his Master’s in Education from Colorado State University in May 2014. Upon graduation, Philip accepted a position with Southwest Energy in Conway. In the Fall of 2011 he accepted a position in Searcy with Halliburton/Baroid as a drilling fluids engineer. Elizabeth hopes to pursue graduate study in oceanography. Mary will take a year off from school, work in a laboratory environment and then decide on graduate school. Michelene is pursuing her PhD in medical biochemistry from Florida Atlantic University. Recently she won the FAU “three minute thesis” competition; she will compete in the national competition in March 2017. Here is a link to the presentation, and an interview. Judith has accepted a position in the nutritional services division at Arkansas Children’s Hospital..
Andrea plans to enter Pharmacy School at UAMS in the Fall of 2011. Immediately upon graduation, Ben accepted a position as a chemist for Rineco Chemical in Benton. Kali is considering pursuing chemical engineering at the University of Arkansas. Jabin hopes to ultimately pursue a graduate degree in pharmacology at UAMS. He currently serves as Laboratory Coordinator in the Department of Biology at UCA. After graduating from UCA in May 2011, Kaleb worked in Dr. Steelman’s lab converting archaeologic organic paint samples into oxidized forms in preparation for radiocarbon dating for 3 months. He then enrolled in medical school at the University of Arkansas for Medical Sciences in the fall. After 1 year of medical school, he married his wife, Emily. They were both in school full time together for the next 3 years. In May 2015, he graduated from medical school as a member of the Alpha Omega Alpha (AOA) medical honor society, and with Honors in Research. In July 2015, Kaleb began my training as a Resident Physician at UAMS in the Orthopaedic Surgery Residency. His wife, Emily, will be finishing her training and graduating from Occupation Therapy (OT) school in December, 2015. Casey earned his PhD in chemistry at the University of North Texas. He works as a lab technician for Unimin Corporation, a fracking-sand company in Guion, AR (on the White River). There he does water analyses, writes internal lab procedures that conform to Federal, State, and local regulations, as well as other problem-solving jobs around the plant. The plant coats sand with a phenol/formaldehyde resin. This resin coated sand allows the ‘fissures’ to remain open longer, and depending on the grade of sand (how coarse or fine the particles are) will also allow the ‘fissures’ to be opened wider. The resin coating creates a more uniform/spherical sand particle, as apposed to the typical grain of sand, and thus can withstand greater pressures and temperatures. This allows oil companies to drill deeper holes, and longer horizontal distances, to get to the shale formations, oil, and natural gas. Jon’s experience from UNT is being put to good use in the Dallas metro area. He is currently working at the Tarrant county medical examiner’s office as a drug chemist. There he helps analyze all the drug cases from the DFW metroplex. For him, this is like being in Law and Order or CSI. He loves his work. Taylor is finishing PA school at UAMS. Tsung Yen began an MD/PhD program at the UAMS medical school in the Fall of 2012. He completed his medical degree in 2016, and was recognized by the Student National Medication Association for outstanding achievement. He is currently working to complete the PhD research half of his degree. Jessica earned her medical degree from UAMS in 2016. Jessica earned the Buchanan Key award in her second year of medical school and served as treasurer for her graduating class of 2016. Jessica is now in her residency in obstetrics and gynecology at Barnes-Jewish Hospital in St. Louis, MO. Bryce is employed at Intertek in Marian, AR. Intertek is a third-party lab that performs laboratory testing for other companies. Bryce works in the petroleum testing division where performs such tests as water content, octane rating, flash point, ethanol content, and benzene content and performing distillations on samples such as diesel, biodiesel blends, gasoline, kerosene, and jet fuel. He makes extensive use of the skills he gained in quantitative analysis and advanced analytical classes. Elana is enrolled as a chemistry graduate student at Texas A&M University. Vivian earned her PhD in chemistry at the University of North Texas in 2016. German completed a PhD degree in chemical engineering at the University of Arkansas, Fayetteville. After graduating UCA, Venusa continued her education by attending medical school at the University of Arkansas for Medical Sciences in the fall of 2012. During her four years in medical school, Venusa participated in many activities on campus and in the community. She served on the UAMS Christian Medical Association leadership team, participated in medical missions in Guatemala two years in a row, and frequently volunteered at a student-run free clinic for underserved members of the community. She met her fiancé, Coy Lock, during her 2nd year of medical school while volunteering at an applicant interview day. In May 2016, she graduated from medical school with Honors in Research and was co-awarded the Faculty Key (given to the most outstanding senior student voted by the faculty). In July 2016, Venusa began her training as a Resident Physician in Memphis, TN. She plans to complete a combined residency in Internal Medicine and Pediatrics in 2020. Katie is still at the University of Colorado Boulder. She received the NASA Earth and Space Science fellowship (NESSF) for 2015-17 which is able to fund her for 3 years. Her research is simulating the salt and soil mixture water uptake conditions on Mars! Katie plans on finishing her PhD Fall 2017 and wants to pursue a job in teaching at a university. She feels that moving to Boulder was probably the best decision she has made. The mountains close by never get old and the hiking is phenomenal and close. She hopes to not have to leave or at least find a place that is similar to Boulder! Taylor was accepted at UAMS medical school 2015. Taylor is enrolled in a graduate program in biochemistry at Texas A&M. Wade is a pilot for the USAF National Guard at the air base in Jacksonville, AR. Jamie is in Kemah (​Center for Toxicology and Environmental Health, L.L.C. ), just southeast of Houston, enjoying the nice gulf coast humidity. He was promoted to a Project Manager in our Toxicology Emergency Response Program back in 2014. Some of his normal duties include maintaining a 24-7 on-call emergency response team that is ready to provide a wide range of services for clients that have chemical spills or releases. Some of these services include air monitoring and sampling, environmental sampling, and occasionally serving as safety officers or observers while on-site. There have also been a few times where he has served as part of an Incident Management team, helping to develop work plans or strategies for various operations taking place during an incident. For each of his projects he works closely with Toxicologists or Certified Industrial Hygienists of varying backgrounds to develop air sampling and analysis plans, as well as site specific health and safety plans. These plans will basically provide clients and their workers with guidelines that help to establish and maintain a safe work environment while they conduct clean-up or repair operations. Jamie gets to work with quite a few regulatory agencies and contractors. This job has definitely been quite the adventure, as it has taken him all over the country. He has gotten to work in chemical manufacturing facilities, on train derailments, barge collisions, oil spills, plant explosions, and has even provided support for the avian influenza. Li Chen served as Laboratory Coordinator in the UCA Department of Chemistry from 2013-2014. 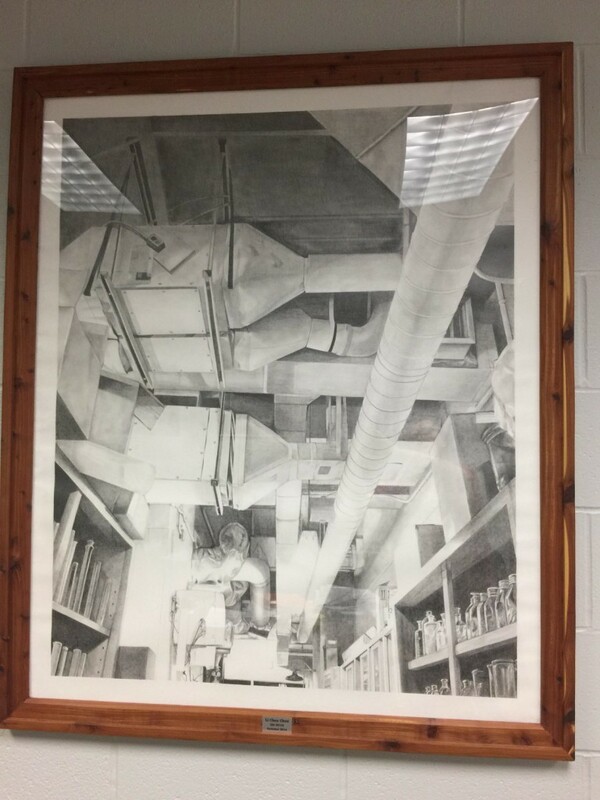 She is a also a very talented artist, with some of her original work on display in the department office. Currently, Li Chen is working as a chemist at the Arkansas State Crime Lab in Little Rock. Elisabeth is completing her Pharm. D. degree at UAMS. Claire completed a masters degree in chemistry from Washington University in St. Louis in 2015. She is currently working at the Arkansas State Crime Lab in Little Rock. Jasmine plans to pursue an M.S. in Biology at UCA where she will work for Dr. Sally Entrekin. Amanda has been accepted into a Ph.D. program in Biochemistry at the University of Arizona. Pyi worked as an analytical chemistry for Tyson Food, Inc. in Waterloo, Iowa. There was a contingency of Burmese college students around Waterloo with whom Pyi associated. After a year with Tyson, Pyi is in an MBA program at Bentley College in Boston, MA. For summer 2015, he is doing an internship with PerkinElmer as a marketing / IT intern. He is preparing to return to Burma and assume management of his father’s business. Yen Le is currently doing post-baccalaureate work at UCA and is applying to Dental Hygiene school. Ryan earned an M.A. in Chemistry from the University of Texas from the Brodbelt group, focusing on biological applications of mass spectrometry. During his graduate program he wrote a lot of software for the analysis of mass spectral data for lab members. He now uses that hobby/skillset in his career. He is working as a software developer in the Dean’s office for the college of natural sciences at UT Austin. Moving to South Texas and getting married, Andrew plans to seek a job in the oil industry. Jeremy works as a water-quality control chemist at Arkansas Nuclear 1 in Russelville. After completing her undergraduate research in environmental studies with Dr. Sally Entrekin (Biology) her hopes were to find a job as an environmental chemist. Those hopes were fulfilled when she was employed by Fidelity National Environmental Solutions in Conway. This company’s responsibility is to clean up the fluids produced by fracking. She will be the in-house chemist and will test water samples from fracking sites for bacteria. Amanda plans to work for a while and then consider graduate school. In July 2013 Chelsea took a job at UAMS as a special procedures technician and hopes to use this as a springboard into other more chemistry-based areas. Jordan will begin graduate school in chemistry at Harvard University in the Fall of 2013. Tiange is attending graduate school in chemistry at the University of Buffalo. Josh is attending pharmacy school at UAMS. Nathan is pursuing admission into a medical school. She earned a law degree from the University of Arkansas in 2017 and is currently working as a lawyer at the Rose Law Firm in Little Rock. Madison’s legal work is focused on general civil litigation and intellectual property law. Ethan was accepted into medical school at UAMS 2015. Aloys began medical school at the University of Connecticut School of Medicine in 2016. Connor plans to apply for medical school to begin in Fall semester of 2015. 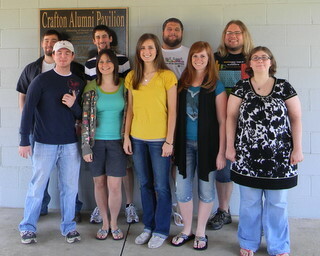 Ashley taught 7th, 8th and 9th grade science and high school chemistry in Clarendon, Arkansas for a little while. She then accepted a position for fall 2016 at her high school Alma Mater, Clarksville High School, to teach chemistry and physics. She got married in November 2014 to Zach Cremer. Kaylyn completed a master degree in education from UCA in December 2016. She is currently enjoying teaching junior high math in the Leslie/Marshall AR school district. Ryan graduated with a Bachelors of Science in Nursing from the UAMS College of Nursing in the Spring of 2016. Began medical school at the UAMS College of Medicine in the Fall of 2016. 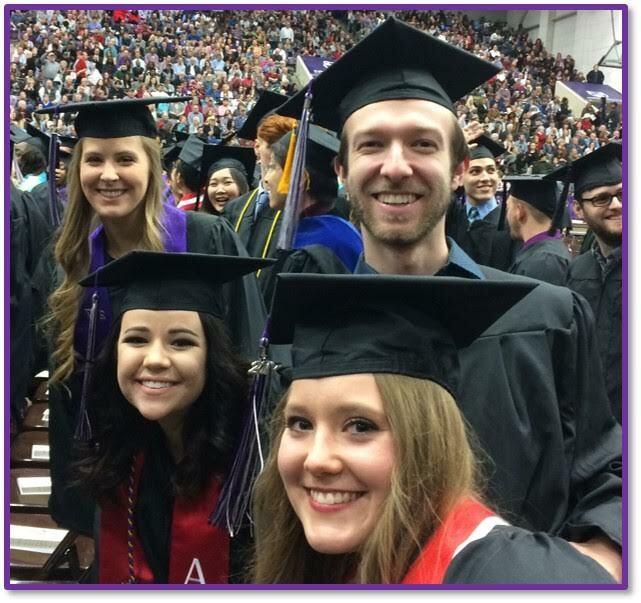 Julie finished her PhD in biochemistry from the University of Arkansas, Fayetteville, in April 2018. She joined the UCA chemistry department in fall 2019 to work as a visiting assistant professor. She and her husband, Richard (UCA alum), live in Conway. Aaron completed his medical degree at UAMS in 2018. He is currently completing a residency in orthopedic surgery at the Mayo Clinic in Rochester, MN. Tyrus served as Laboratory Coordinator in the UCA Department of Chemistry from 2014-2015. He left UCA to work at Siemens (custom GC fabrication) in Bartlesville, OK for 2.5 y. In 2018 he took a position at a specialty polymer plant under Baker Hughes company located in Barnsdall, OK. There he is conducting quality control analyses on different types of ethylene polymers. Ashley hopes to attend pharmacy school at UAMS. Patrick plans to spend a year taking post-baccalaureate classes and preparing to take the GRE in preparation for graduate studies. Gwen entered graduate school in computational/theoretical chemistry at the University of Minnesota in the Fall semester of 2014. She is now a Math teacher at Crossett High School. Jacob, who majored in both Chemistry and Spanish, spent some time doing lab work for cancer clinical trials at the University of Colorado and is now working in an orthopedic research lab at UAMS. Soon, he hopes to go to graduate school for Chemistry. Laney is currently enrolled in the Pharm. D. program at UAMS. Adam entered graduate school in chemistry at the University of Minnesota in the Fall semester of 2014. Ethan hopes to pursue graduate studies in either biomedicine or pharmacy. Mary will be teaching chemistry and other subjects at the North Little Rock School District. Kyle plans to either attend graduate school in chemistry or teach high school chemistry. Kyle will be working at Molex as a supervisor of the chemical e-plating process. Meredith plans to pursue graduate studies in either ecology or environmental studies starting in the Fall of 2015. Hannah is currently in medical school at UAMS. He is working as a chemist at the Arkansas State Crime Lab in Little Rock. Julio will be attending the Louisiana State University School of Veterinary Medicine. She works as an analyst at the Arkansas State Crime Lab in Little Rock. Shelby works in the DNA and serology section of the lab. Kristina begins her studies at Bowen School of Law in Fall 2015. Will Henry will be getting married in June of 2015 and begins UAMS Medical School in Fall 2015. Edouard will begin graduate studies in chemistry at Purdue University in the Fall of 2015. He is currently working with Prof. Hilkka Kenttämaa in analytical chemistry (1st analytical chemistry in the nation). Their lab focuses on crude oil characterization and drug metabolites identification. His projects involve characterizing elemental composition of crude oil using high resolution mass spectrometry and use model compounds to determine the fraction of crude oil that bind to different rocks. This will help develop a better method for Enhanced Oil Recovery (EOR). He is also involved in a project in which we are trying to develop a method to identify drug metabolites using ion-molecule reactions and mass spectrometry. He is currently working for Eastman Chemical Company in Longview, Texas, testing as a Process Innovation Technician. Learning the in’s and out’s of making mass production more efficient, variable, and safer in addition too gawking at the scale of the site. Sergio is pursuing a graduate degree in chemical engineering at the University of Arkansas, Fayetteville. Alex will begin medical school at UAMS in the Fall of 2015. Ben served the department well as its interim Lab Coordinator (2015-17). He is currently in the PhD program in chemistry at Texas A&M University, studying gas phase reaction dynamics in Simon North’s research group. Julia (Alex) is pursuing a graduate degree through the interdisciplinary biomedical sciences program at UAMS beginning in Fall 2015. Ashli now works as a quality manager at Ashland (a specialty chemicals company) in South Carolina. Ashli also worked as a process engineer for Tokusen in Conway until 2019. This work continued her long internship with this company while she earned her B.S. degree. Shelby is working as a chemist at the Red River Army Depot in Texarkana. Toddy is working as a chemist in the Dallas area. Jordan is an Analytical Chemist/Shipping Bench Analyst at Porocel Industries LLC, a manufacturer of desiccants, specialty catalysts, and alumina products. He performs analytical testing on business development samples, calibrates and maintains a variety of instrumentation, assists in method development, provides analytical support for quality investigations, and maintains the spent sample evaluation program. He will be pursuing a Masters in chemistry part time next year at UALR and intends, God and grades willing, to pursue a PhD sometime down the road. Ashton will begin his work on a Pharm D degree at UAMS in the fall. Charles will be attending Texas A&M University in the fall to begin his work on a graduate degree in biochemistry. Kat is returning to her home state of Colorado where she will spend the next year working as a STEM tutor/lab technician and possibly pursue a career in teaching. Nic is considering a career in pharmaceutical sales. Clement will be pursuing employment as a chemist. Sam is currently working for Arkansas Analytical. Raynin will be spending 2016 preparing to apply to medical school with a planned start of Fall 2017. After graduating from UCA, Amber spent a summer working at the National Center for Toxicological Research (a branch of the FDA) on a project developing imaging mass spectrometry methods to study the distribution of chemotherapeutic drugs with cardiotoxic side effects in heart tissue. In fall 2016 she began her graduate studies in chemistry at the University of Oregon, where she was selected as both a Dean’s First-Year Merit Award recipient and as an ARCS Foundation Scholar. Amber has joined Jim Prell’s research group and will be utilizing native mass spectrometry to investigate the interactions and dynamics of membrane proteins and lipids. Immediately following graduation he worked as a technician at US Compounding Pharmacy in Conway. In fall 2017 he begins work on a masters degree at the University of Edinburgh (Scotland) in Global Health Policy. Aliyah entered pharmacy school at UAMS in Fall 2017. Emily spent the 2017-18 academic year abroad in Spain (teaching English), making use of her double major in chemistry and Spanish. In Fall 2018 she begins a post-baccalaureate research training program at the National Institutes of Health in Washington, DC. Taylor begins graduate studies in chemistry at Texas A&M University in Fall 2017 hoping to focus on biochemistry or neuroscience. Jonathan is currently enrolled in the school of pharmacy at Harding University. Josh works for Jupeng Bio (formerly Ineos Bio) in Fayetteville. There he operates GC’s, LGC’s, IC’s, UV-Vis, and other instruments. He enjoys the experience of learning new instrumentation and becoming proficient in their operation. His job involves building bio-reactors. Emily teaches high school chemistry and physics at Conway HS (her alma mater). Emily is also fluent in Spanish, having earned a double major in chemistry and Spanish from UCA. After graduation, she plans to work at a laboratory in Little Rock. Jessica begins graduate studies in chemistry at the University of Iowa in Fall 2017. Candice is working as an analyst at the Arkansas State Crime Lab. Using her chemistry training, she analyzes samples obtained in criminal investigations. Jamie joined the department as its laboratory coordinator in May 2017. Attend pharmacy school and work either in the industrial or retail side of pharmaceuticals. He will take a break from school and decide whether to go on to graduate school or into the workforce. Hayley begins graduate studies in chemistry at Texas A&M University in Fall 2017. 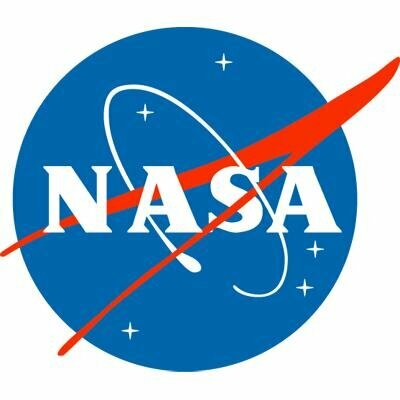 She then plans to pursue at post-doctoral fellowship at NASA Johnson Space Center, where she plans to pursue a career in the space life sciences. She hopes to move from the restaurant side of the microbrewery, where she is currently employed, to the brewing side. Haley (Kay) Favell received her provisional license in Special Education and will be working as a special education resource teacher at Beebe High School starting in the 2018-2019 school year. She will receive her Masters of Arts in Special Education and her standard license in December of 2019. Plans to seek employment as a chemist. Plans to attend graduate school; probably pursue something along the lines of Biochemistry. Pursue a graduate education, possibly in computational chemistry. Chris is considering applying his degree in the Air Force or to go on and earn a different degree. Mary plans to pursue a job with an environmental government agency or service. She would like to work in the field gathering samples as well as in the lab analyzing them. She will begin UAMS pharmacy school in Fall 2017. Rachel will be attending the University of Arkansas for Medical Sciences College of Medicine in Fall 2017. After a gap year, Christian began a graduate program in biochemistry at Texas A & M University in Fall 2018. Victoria will begin her graduate studies in biochemistry at UAMS in Fall 2017 in the department of Immunology and Microbiology. She plans to further her career in research for Multiple Sclerosis. Danica will be attending the University of Arkansas for Medical Sciences College of Medicine in Fall 2017, and her goal is to earn both an MD and a PhD. She is also a talented artist, with one of her pieces (shown below) on display in the department office. I plan on attending medical school in the future, while also possibly obtaining a PhD in chemistry as well. I plan on continuing my education at one of the many pharmacy schools in the area. She will be attending the University of Mississippi in fall 2018 to obtain a Master’s degree in Engineering Science with an emphasis in Hydrology. This position enables her to simultaneously have her graduate research and her USGS internship go hand in hand. Brandon plans to return to his home state of Utah to enter medical school and pursue orthopedic surgery. I have decided to take a new career path in field of health career administration. Attend grad school in fall of 2018 to get a masters in interdisciplinary environmental science or something similar. Will begin UAMS pharmacy school in Fall 2018. I plan on working for a few years to gain experience and become financially independent so that I can go to graduate school to get an MS in Forensic Science. I hope to eventually work as a crime lab analyst. I hope to become a Med-Peds doctor who makes family the most important aspect in medicine. Working toward a degree in medicine. I hope to do research in medicine, biochemistry and/or Analytical work. Grekeem began work on a BS and then master’s degree in chemical engineering at UA Fayetteville in Fall 2018. He has also been pursuing research under Dr. Greenlee in the realm of Sustainability doing “Electrochemical water-splitting for Hydrogen production.” He has also been offered an Internship with Whitmore Manufacturing for Summer 2019. I will go to medical school. I plan to become a neurosurgeon, but I’m keeping my options open. I’m hoping to attend medical school beginning in Fall 2019. I will be attending Rensselaer Polytechnic graduate school in Fall 2018 to pursue a PhD in either physical or analytical chemistry. I would like to work on instrumentation design and modification. Quality control lab technician at LANXESS in Arkansas. Rachel accepted a job with Microconsult, a contract analytical company in Carrollton, TX. I plan on taking a year off to study for the MCAT, then applying to UAMS. I will begin working on a doctoral degree in biochemistry at the University of Oklahoma in Fall 2018. My next step will be study for the MCAT, which I am really eager to do. Then apply for UAMS. Shelby works at 3D Imaging: Drug Design and Development in North Little Rock as a research/radiochemist. It’s an independent imaging lab, and they just set up a contract to begin doing medical imaging (PET scans mostly) for CARTI cancer center. I will be attending dental school in the fall (2018) where I will be pursuing a doctorate in dental medicine. My goal is to pursue a career in chemistry while maintaining my current job and then transitioning into that new career. I would love to work in a lab doing any type of analysis or research. My next step is to complete Pharmacy PCAT exams then apply for Pharmacy school. She began working as a chemist at SafeFoods in North Little Rock in summer 2018. I plan to be productive in a location with a more hospitable climate. I intend to pursue a PhD in Neuroscience at UAMS. My next career step is to begin a career in the field of forensic science and hone my skills in a professional lab setting. My goal is to pursue a PhD in organic chemistry. Eventually I want to do pharmaceutical research and development. I will be attending UAMS medical school in Fall 2018, aspiring to become a pediatrician. I plan on attending pharmacy school at the UAMS and exploring the many fields of pharmacy. I will begin graduate studies in analytical chemistry at the University of Arkansas, Fayetteville, in Fall 2018. Faculty members in this department have positively influenced me to make this next step and I hope to be a very successful alumni of UCA and the department of chemistry. I want to get a Doctorate in Pharmacology specializing in medical research. 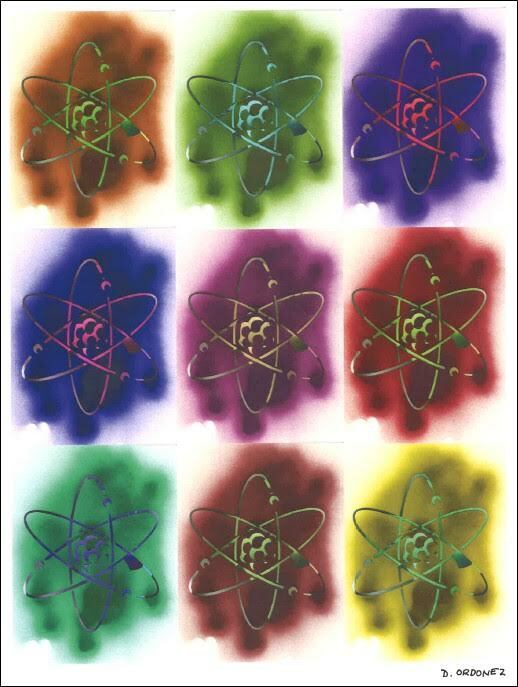 My next career step would be working in chemical industry for about three years. After that I plan to apply for grad school to earn either a master’s or PhD in chemistry. Chris is seeking a career in chemistry working for an employer that will suite his strengths (instrumentation and physical chemistry). He wants to be a “bench chemist,” performing analyses pertinent to the company’s goals. Kate works at the Arkansas Department of Health in the Public Health Lab as a microbiologist. She works in the quality control section doing analytical work and helping to implement new testing procedures for communicable diseases. Planning to pursue a career as a chemist. Tiffany hopes to work at a crime lab, with a career in forensic chemistry. I am certified to teach high school chemistry in the state of Arkansas. I plan to find a school in the Central Arkansas region in need of a science teacher and work there. I may decide in the future to continue on to get a masters so that I would be qualified to teach AP level classes as well. Considering a career in the Air Force.